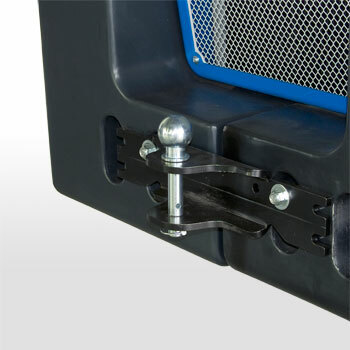 Want the most flexibility in the smallest package? 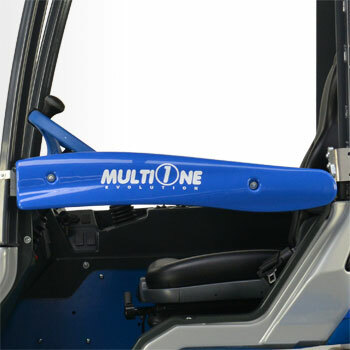 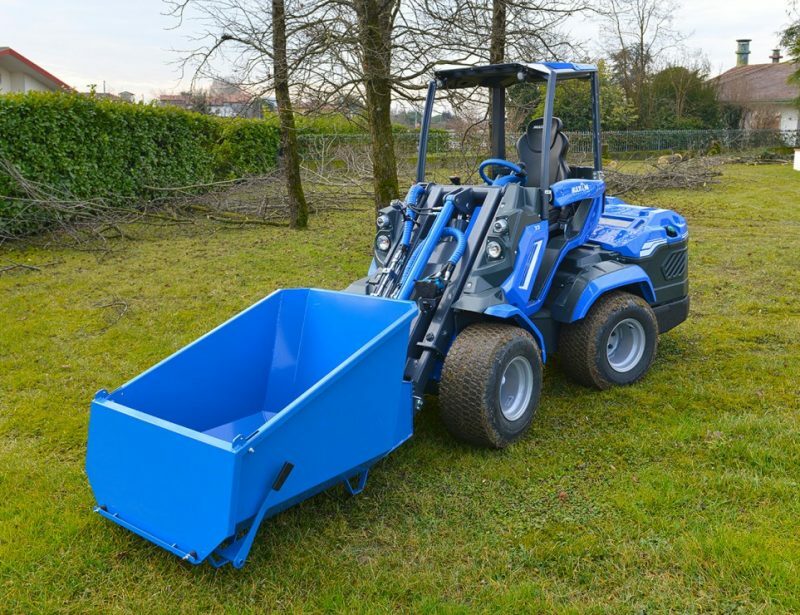 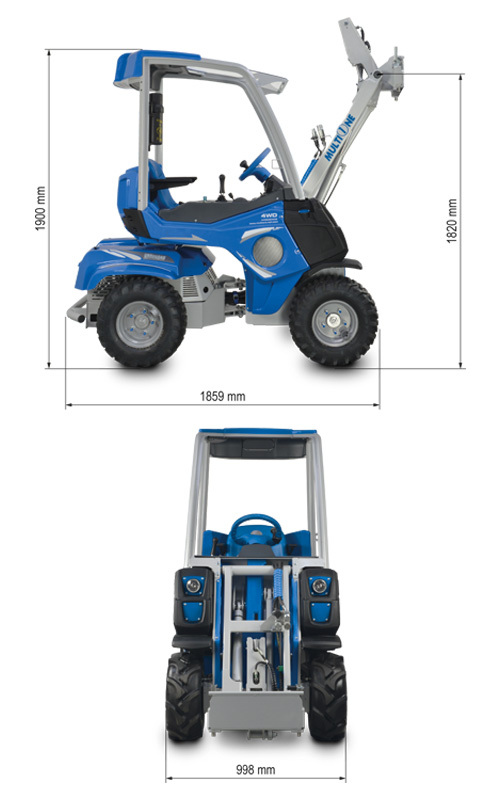 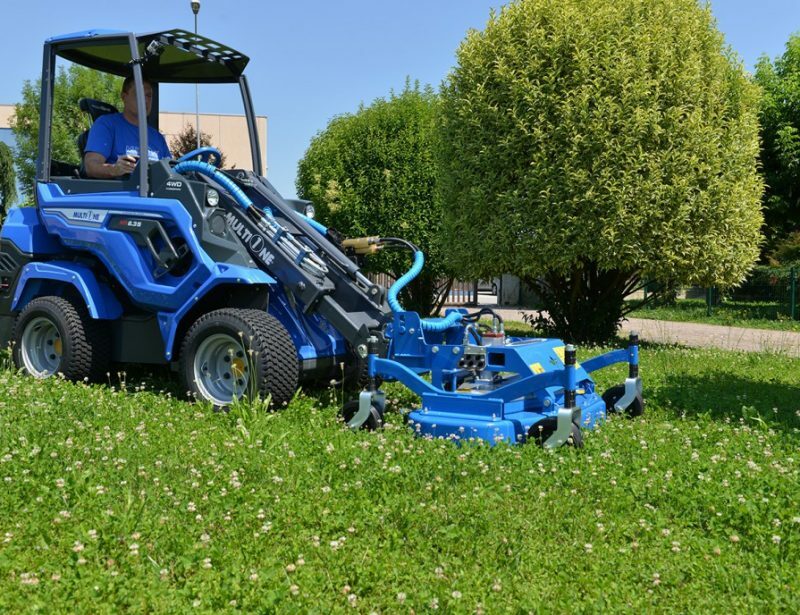 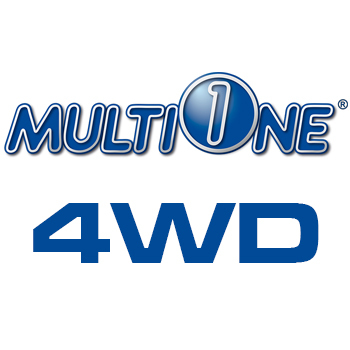 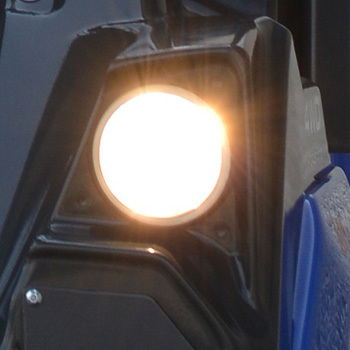 MultiOne’s 2 Series mini loaders are the most compact models in their four wheel drive lineup, but they still retain the professional quality features and attachment compatibility of the rest of their loaders. 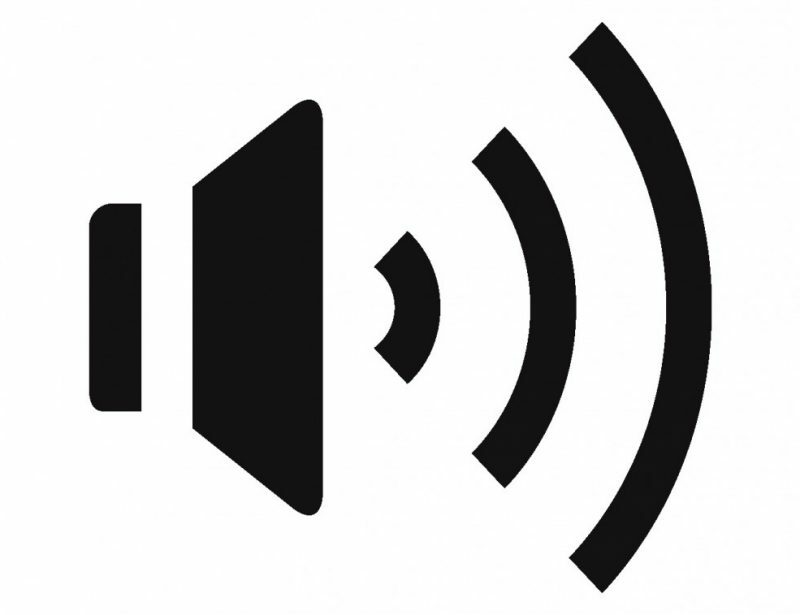 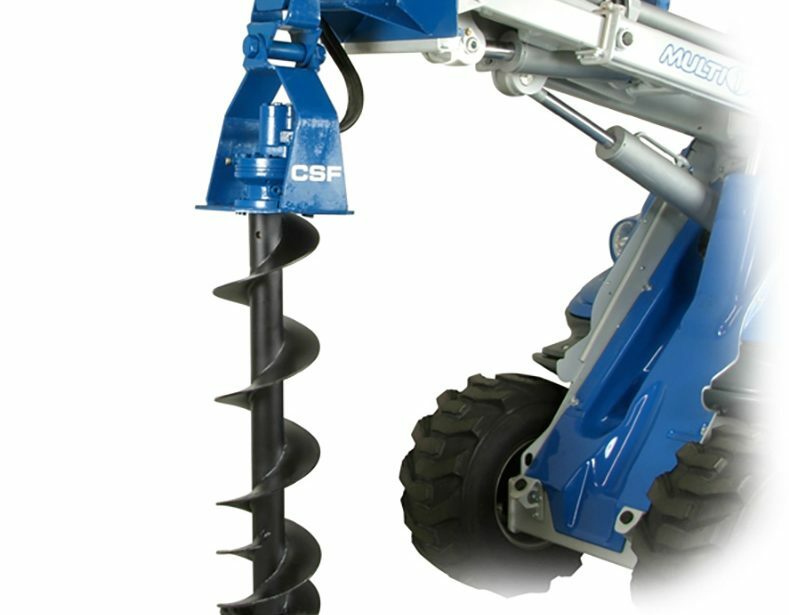 Want the attachments and boom to work faster? 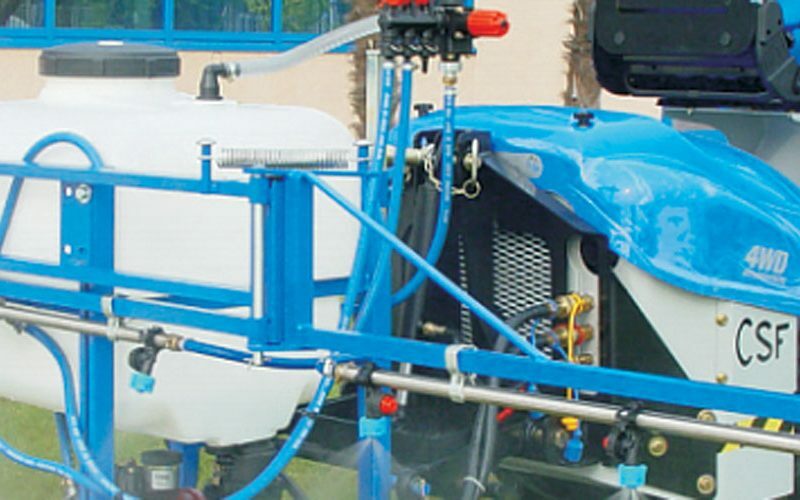 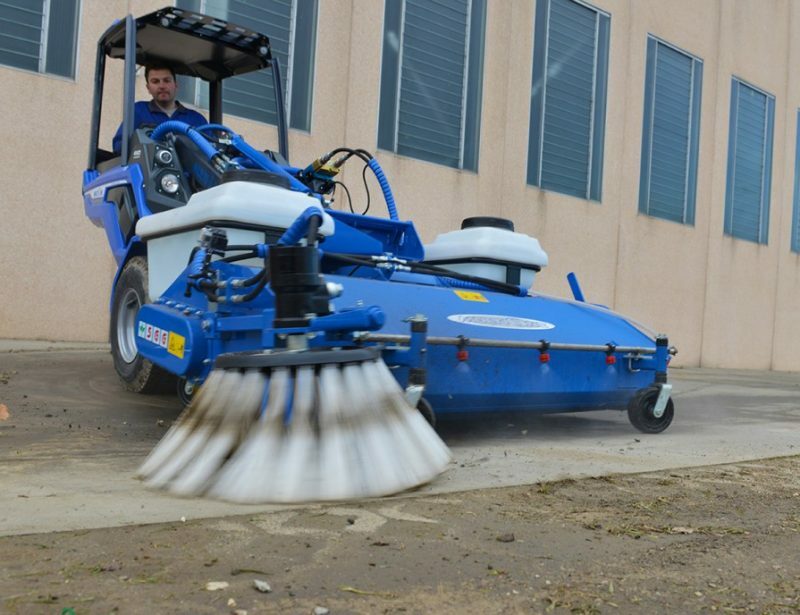 The 2.3 uses a 27 hp 8270 engine that increases hydraulic fluid flow to 11.1 gpm (42 l/min) for quicker movements. 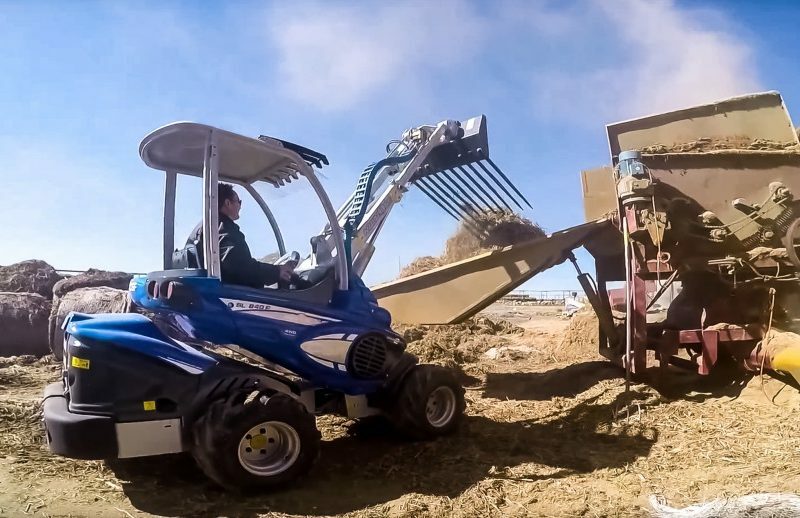 The 2 Series may be the smallest four-wheel loader MultiOne offers, but that doesn’t mean they skimp on features. 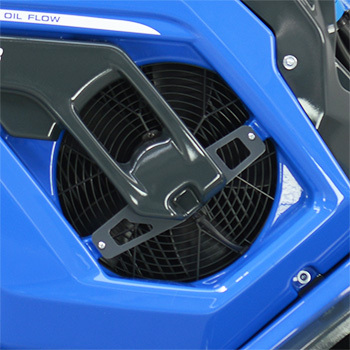 An industrial quality Briggs and Stratton engine powers a fan-cooled hydraulic pump which sends power to four direct drive motors via a dynamic block system to maintain grip and reduce scrubbing on soft surfaces. 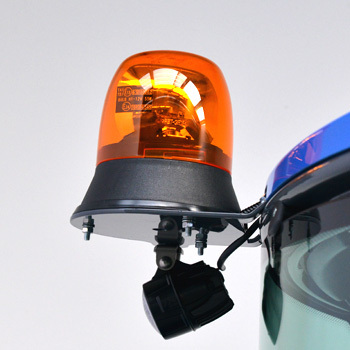 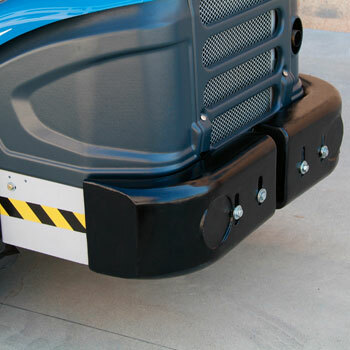 Operating the 2 Series is safe and easy. 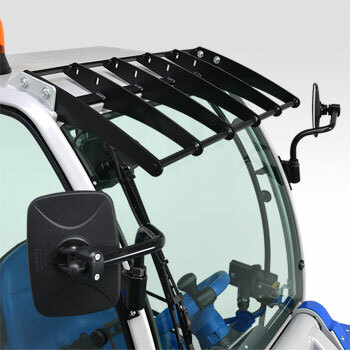 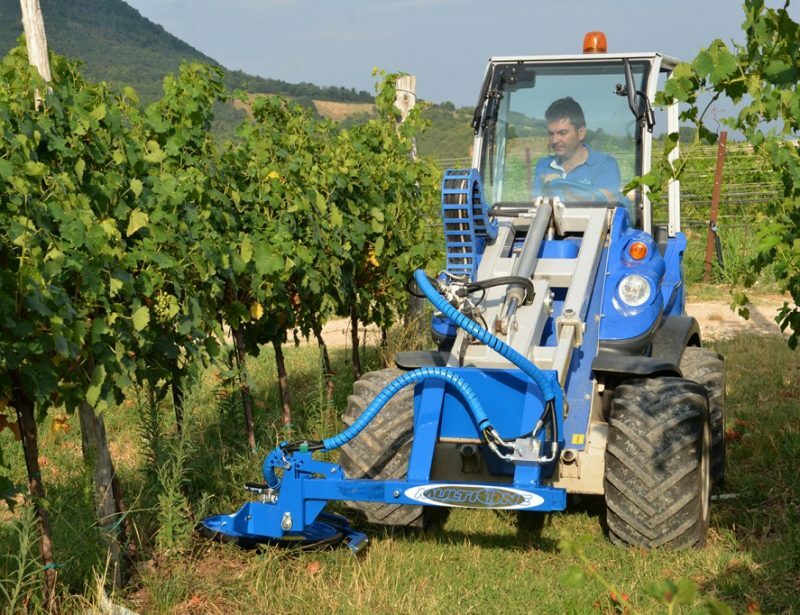 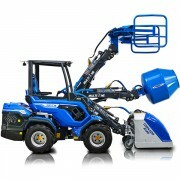 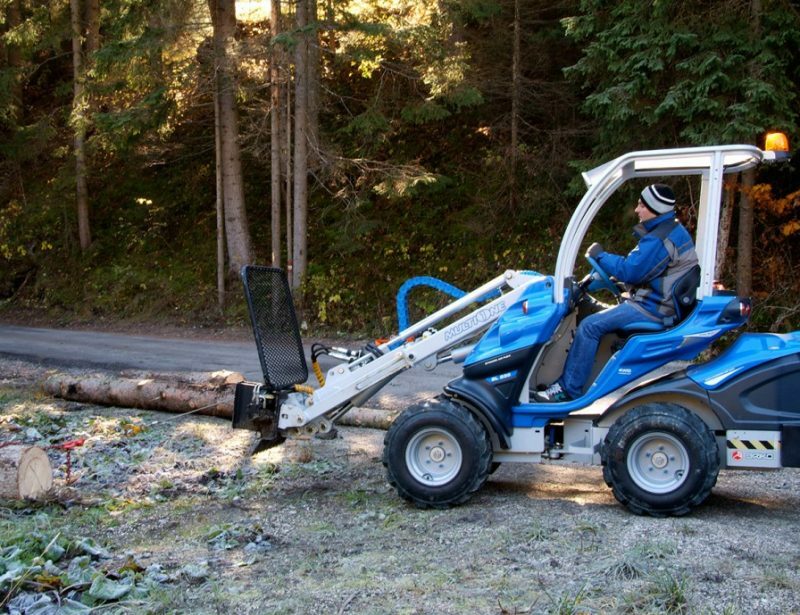 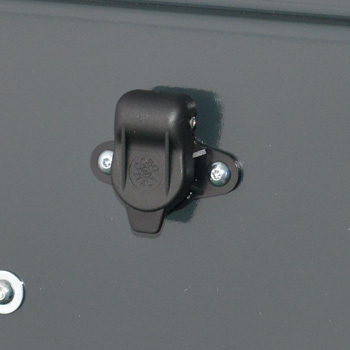 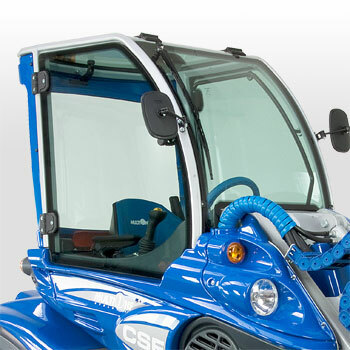 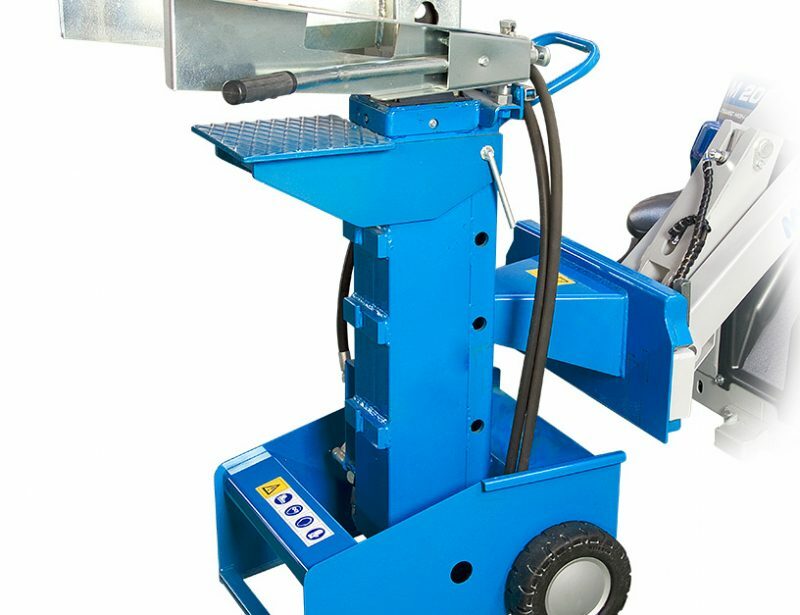 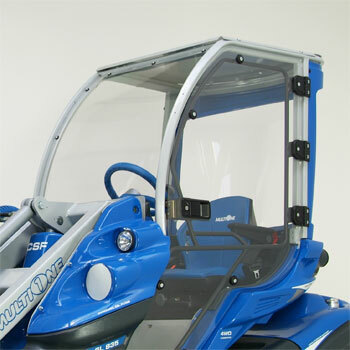 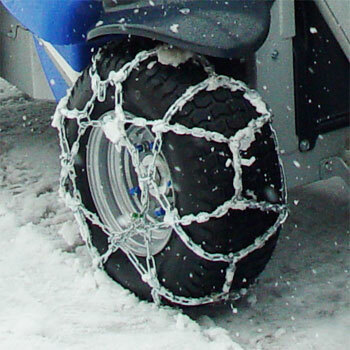 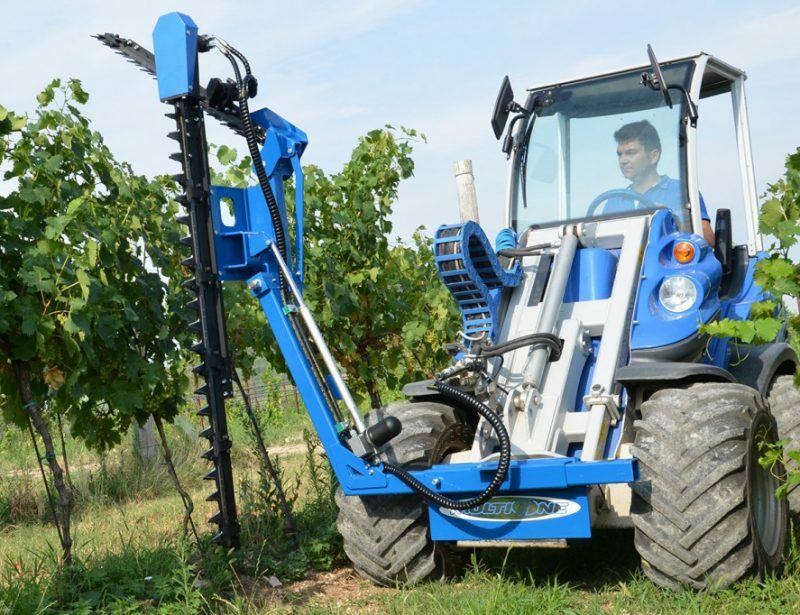 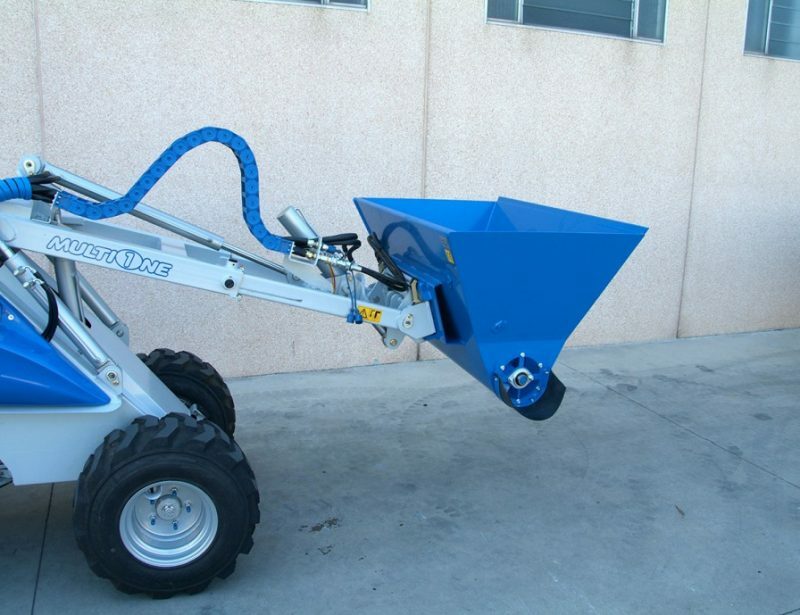 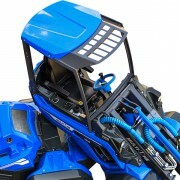 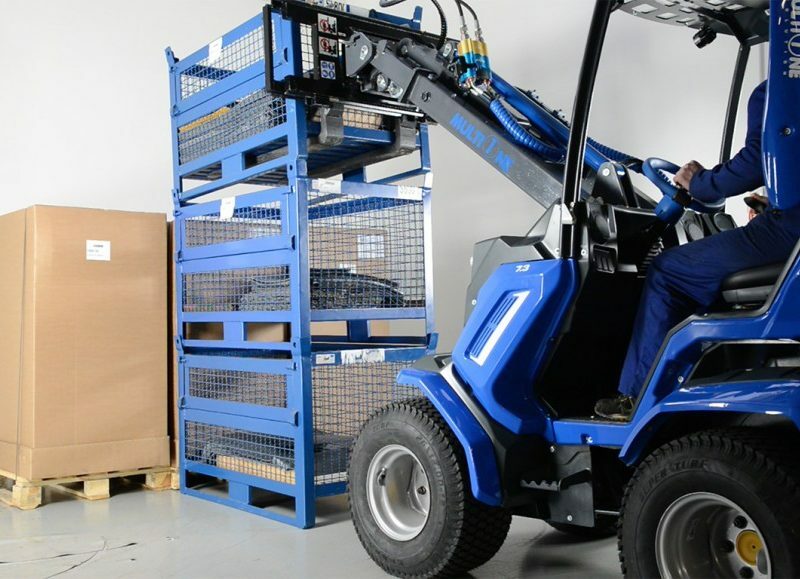 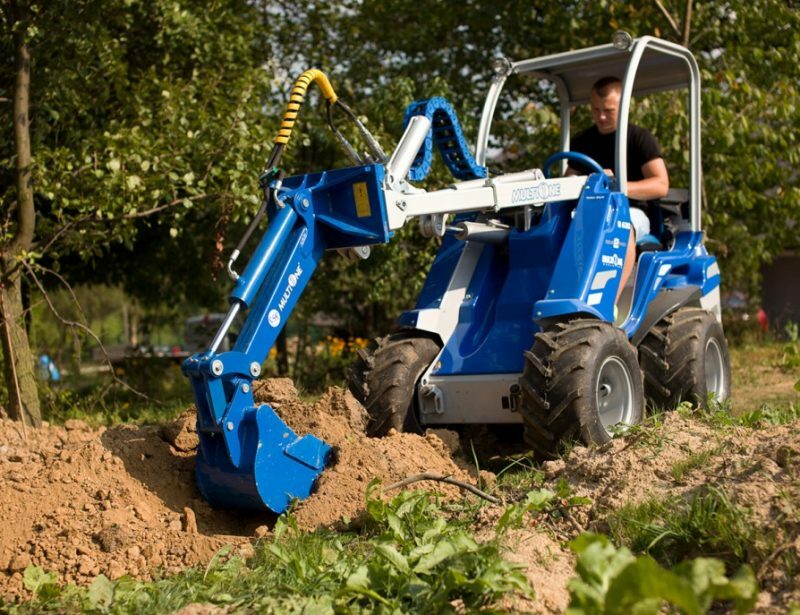 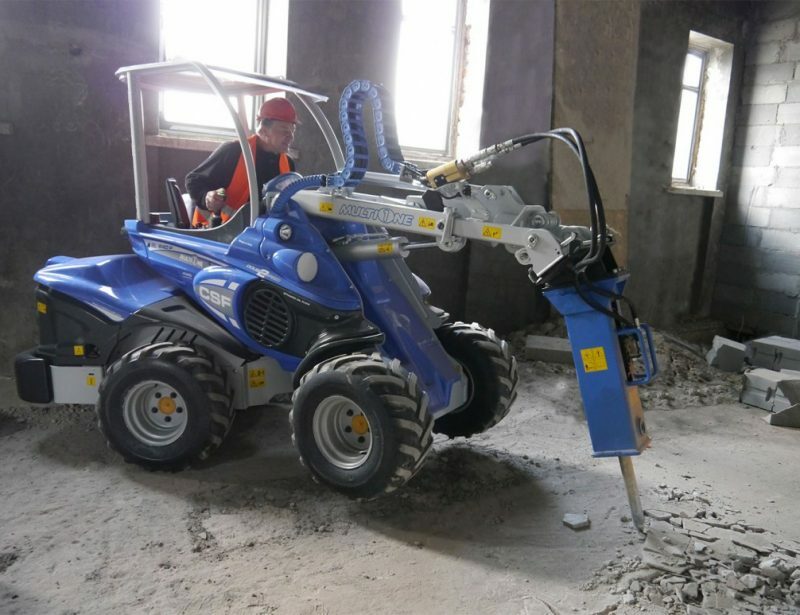 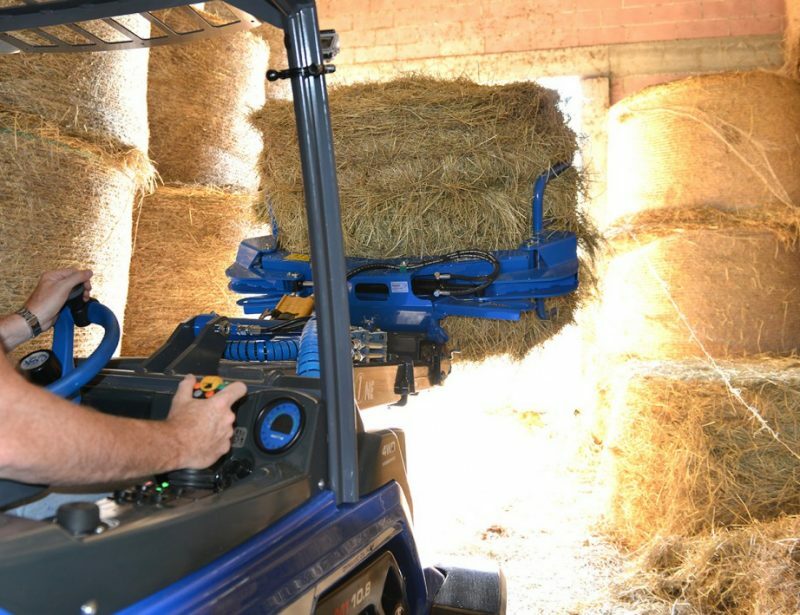 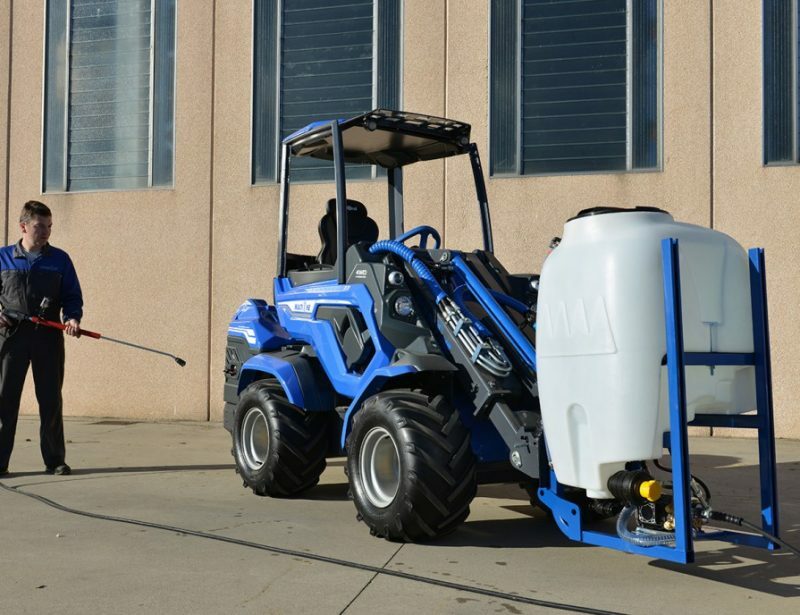 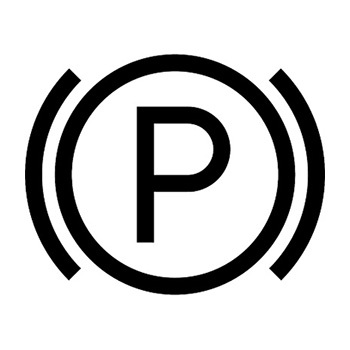 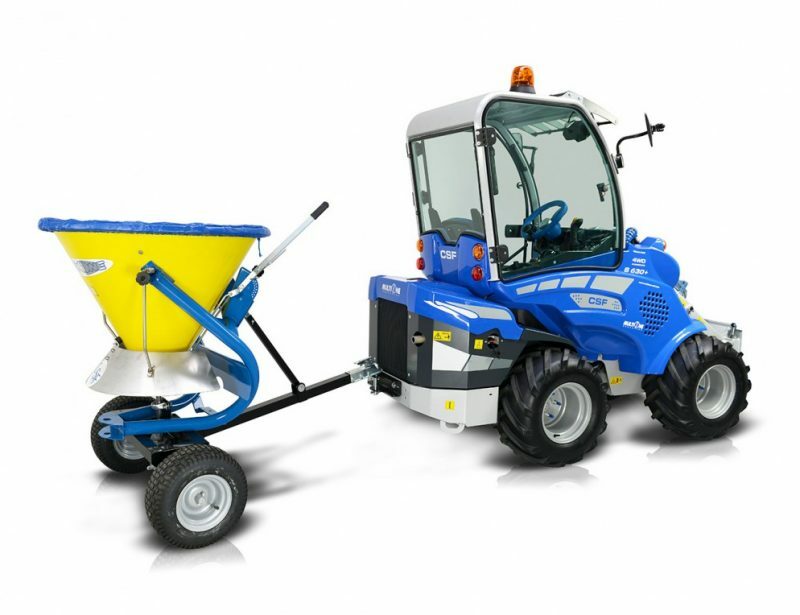 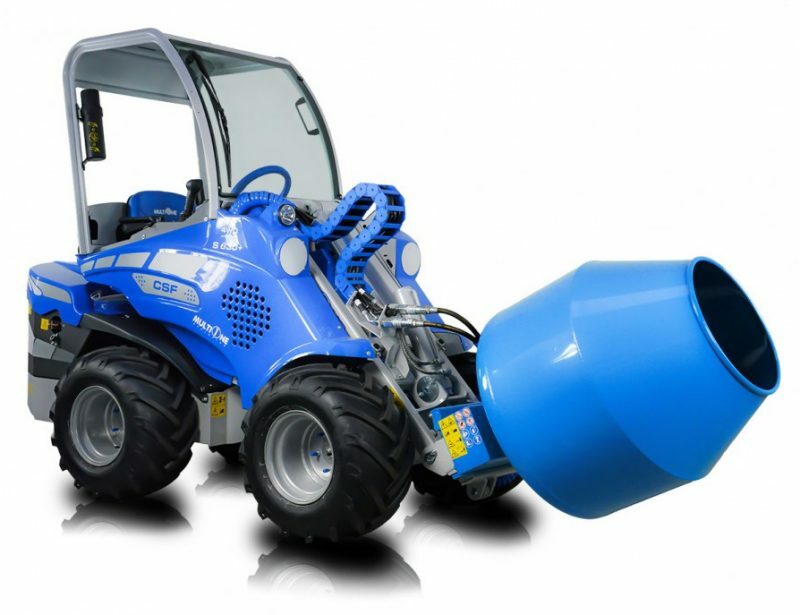 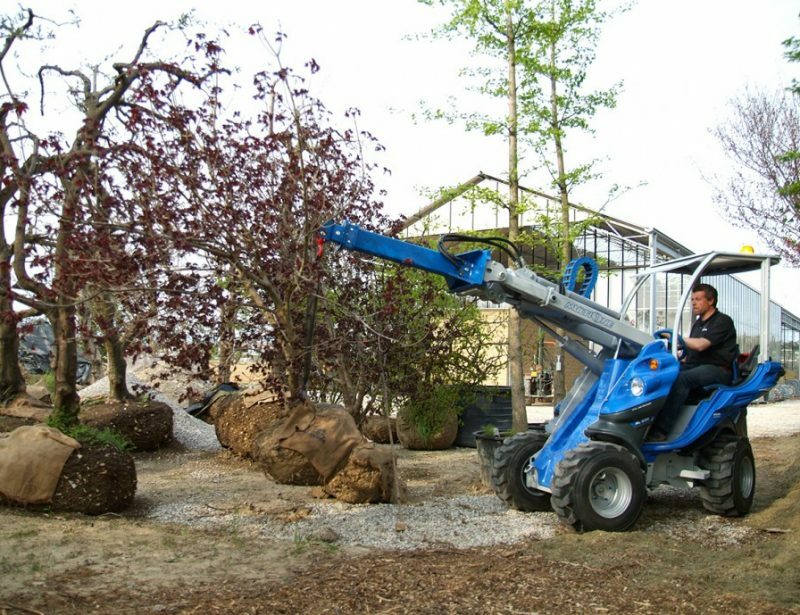 The boom and attachment are controlled by a four function joystick, while the rest of the loader is controlled by an automotive-style steering wheel and pedals. 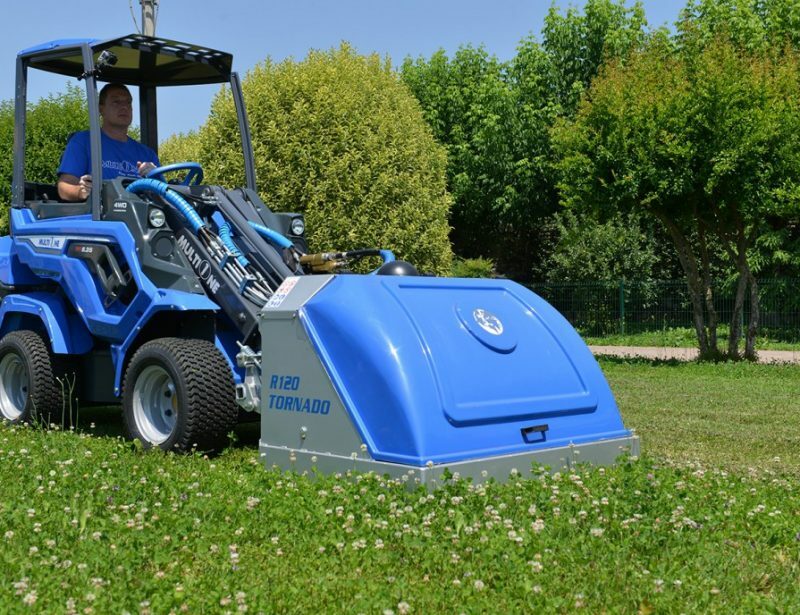 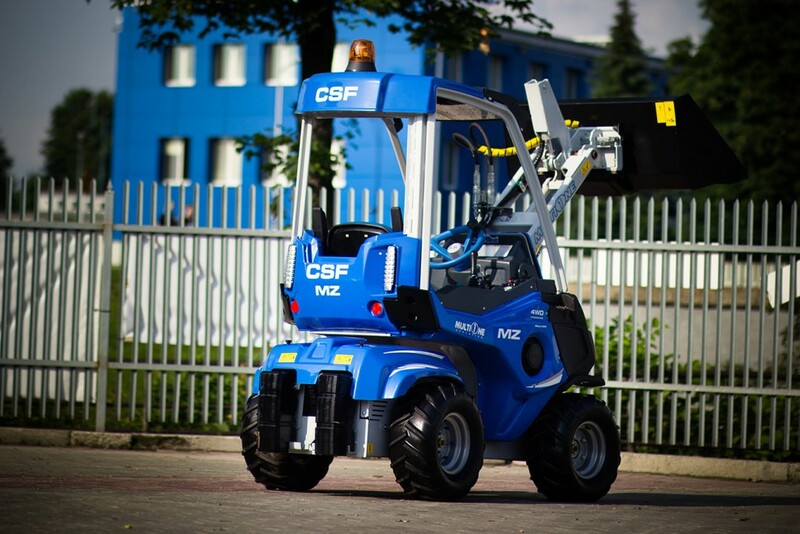 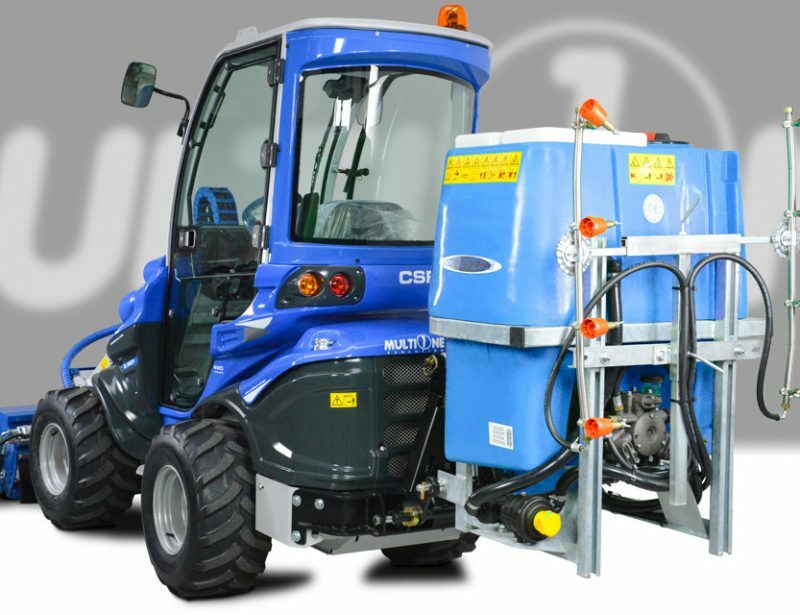 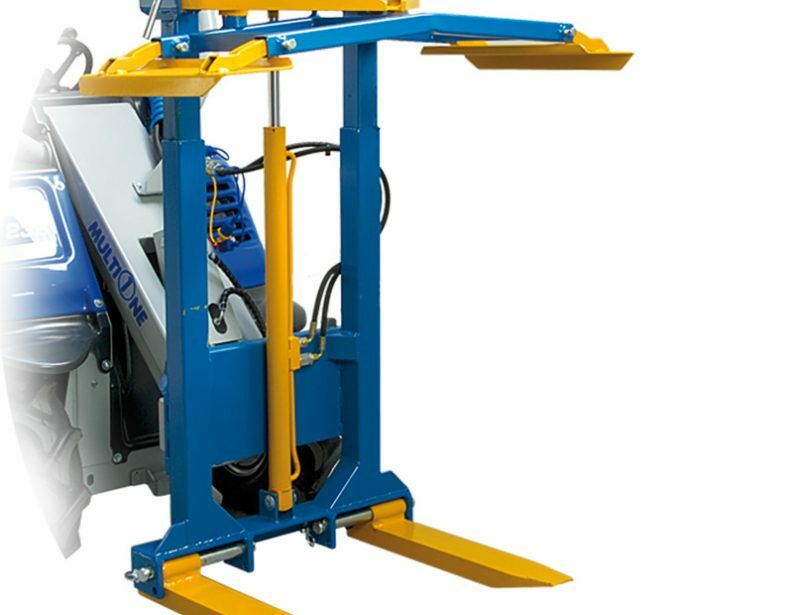 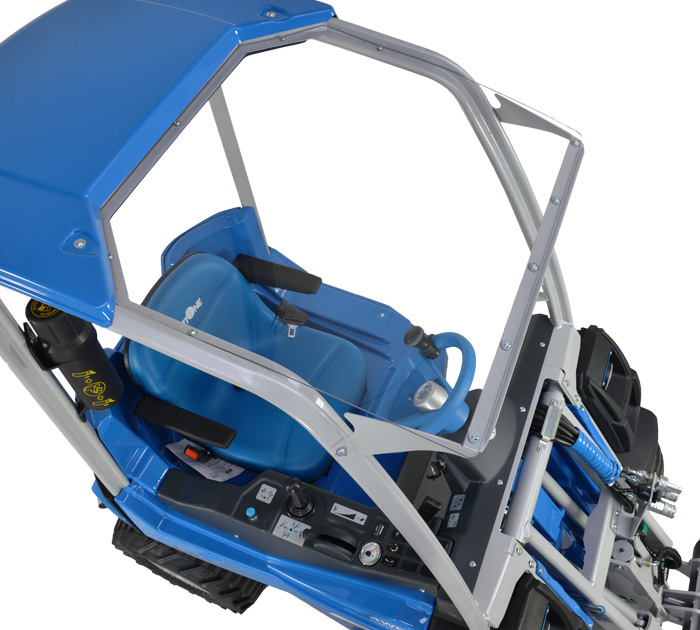 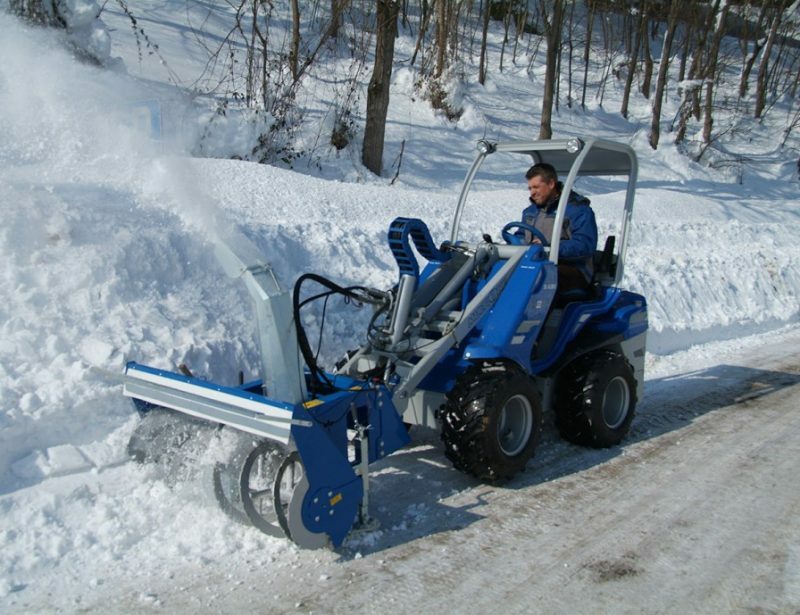 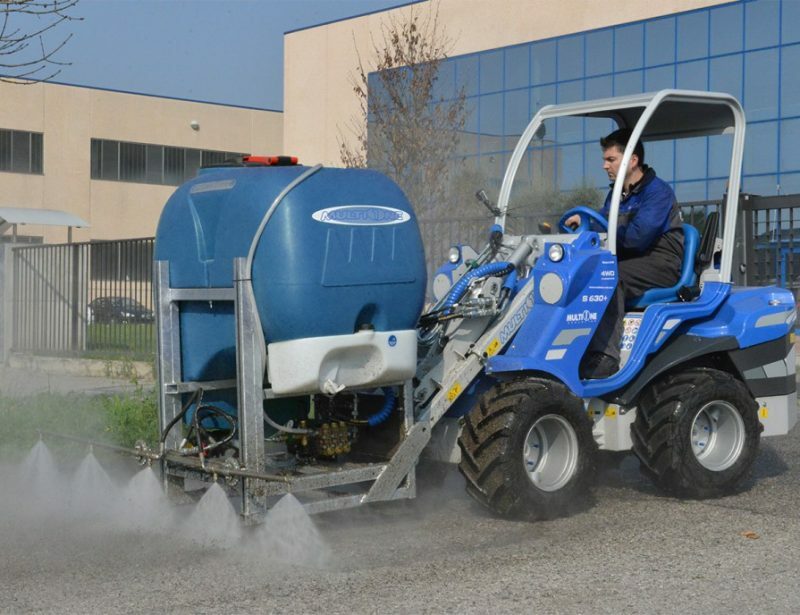 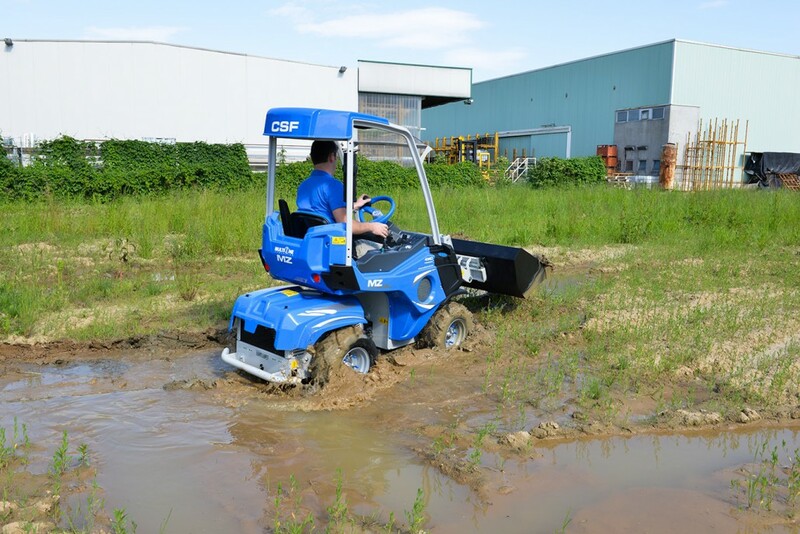 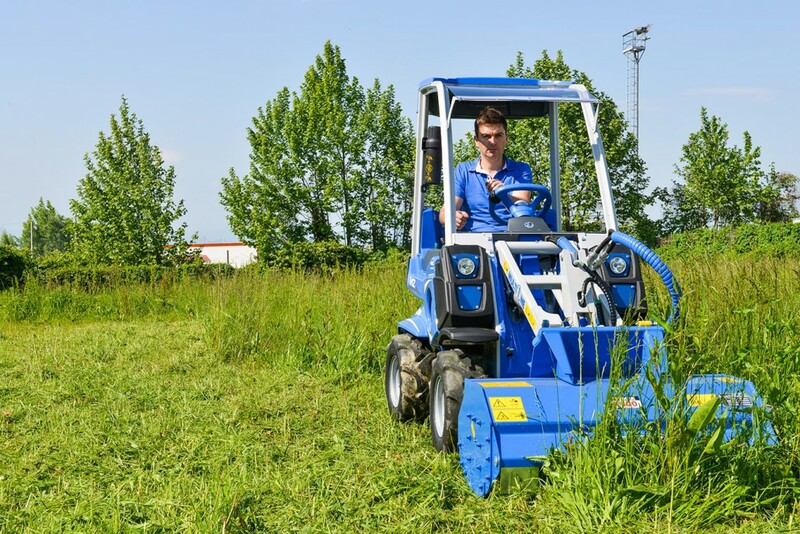 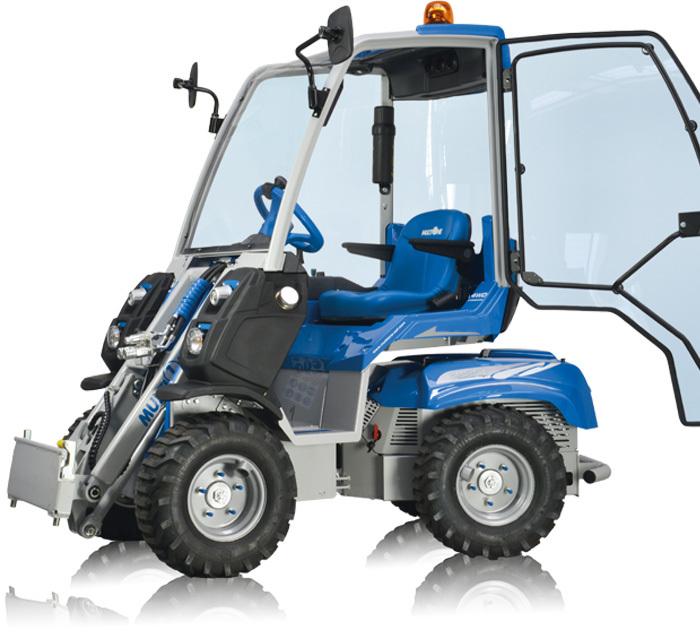 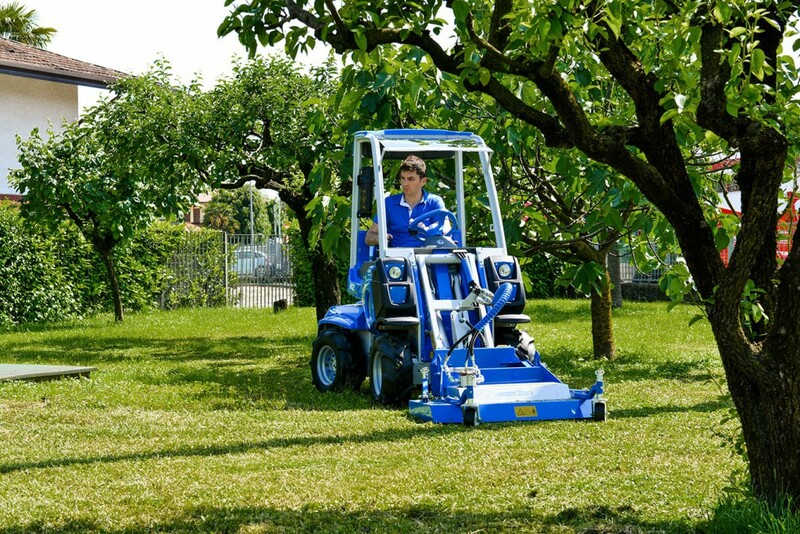 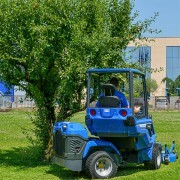 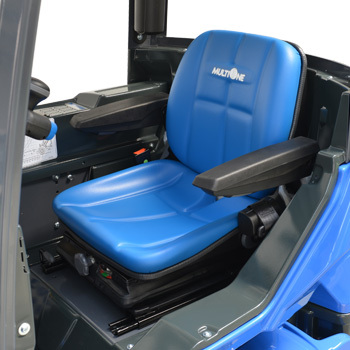 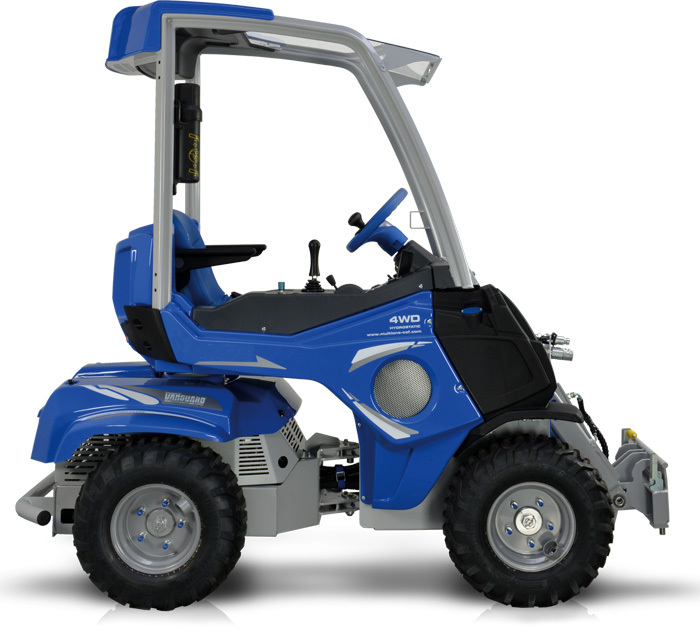 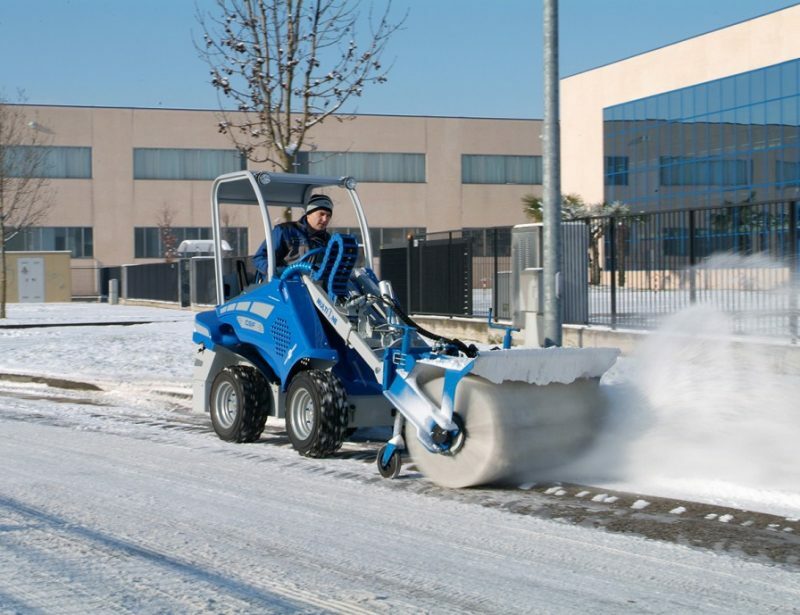 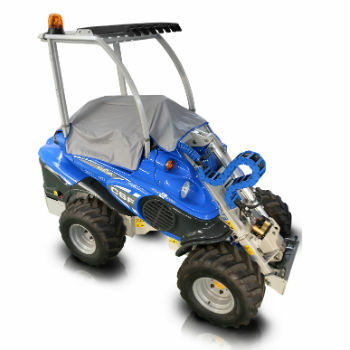 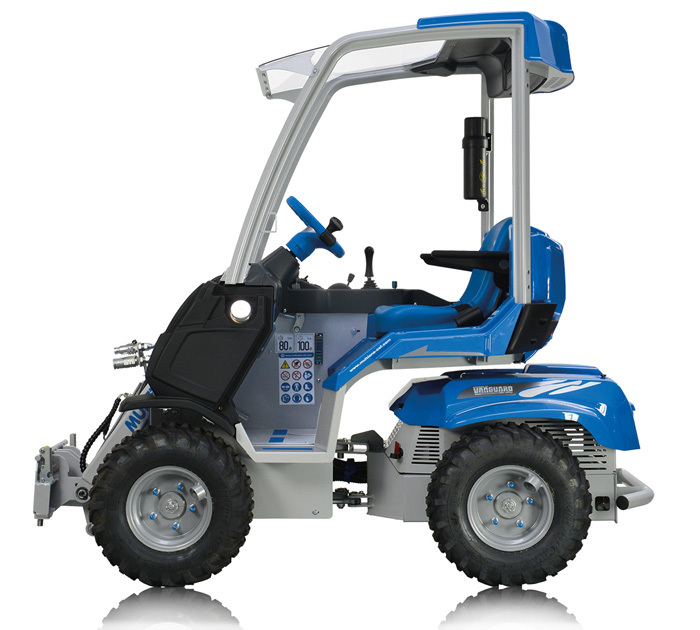 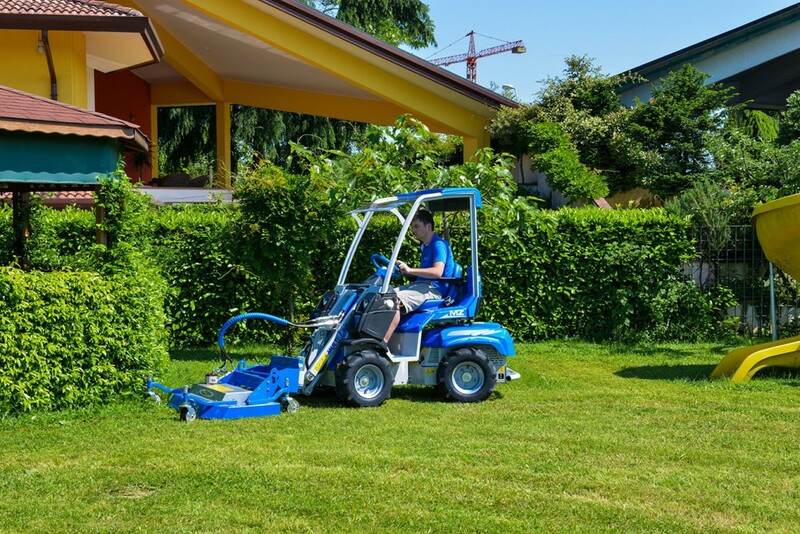 The operator’s seat is ergonomically designed and has arm rests for comfort on long shifts, while the seat belt and Level 1 ROPS-FOPS protect the operator in the event of a roll over. 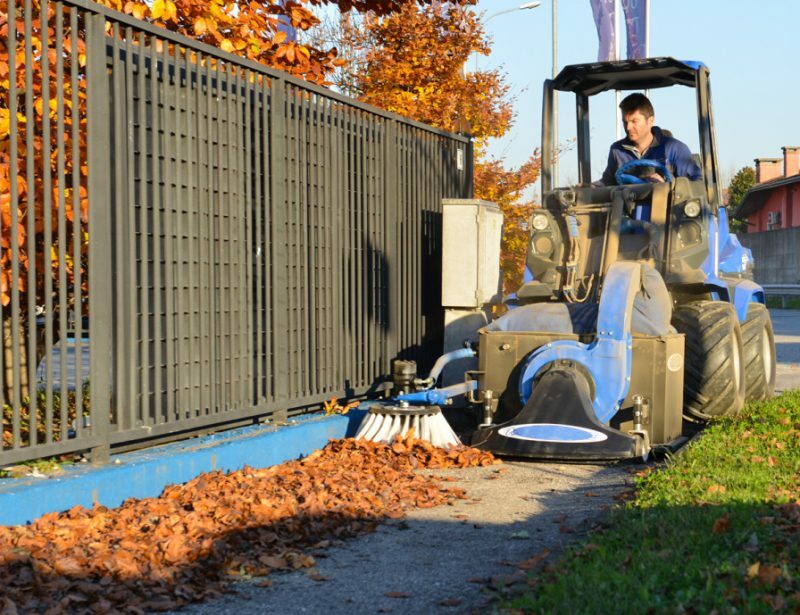 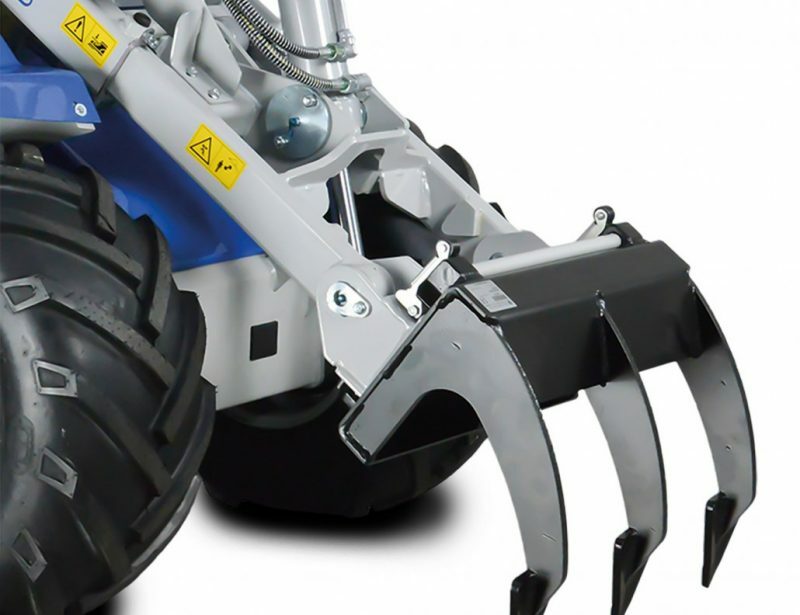 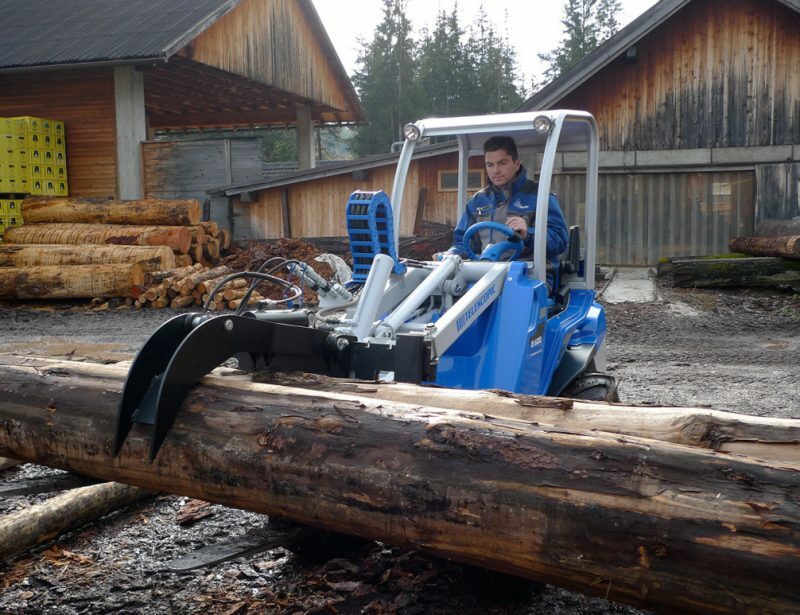 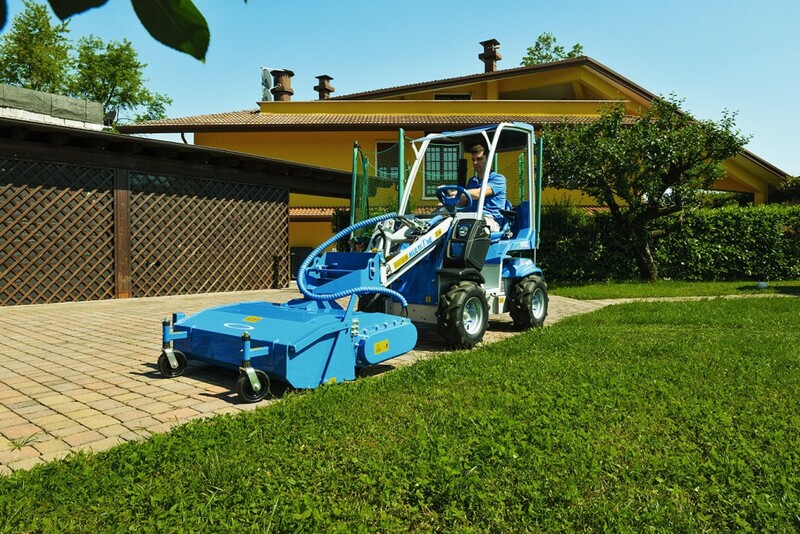 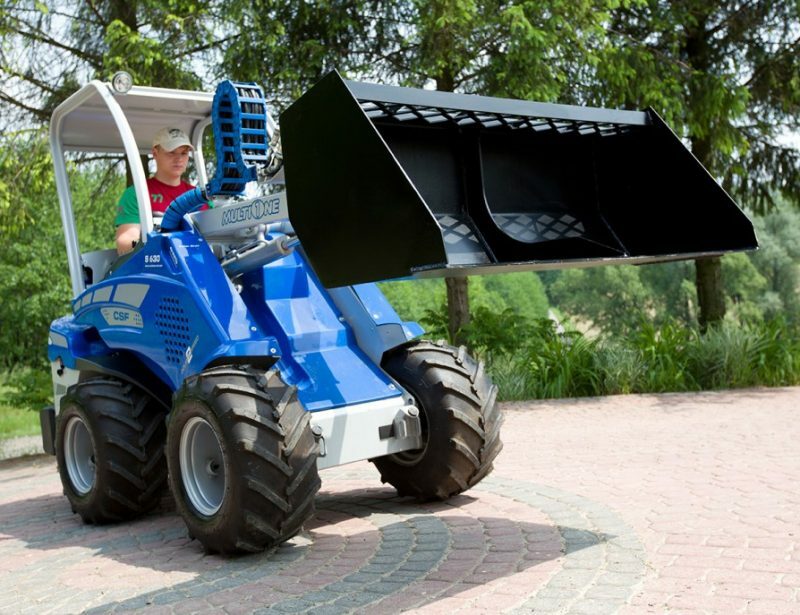 Depending on the tires used, the total width can be as little as 38.6 in (980 mm) and the entire loader without attachments is just 73.2 inches (1,859 mm) long. 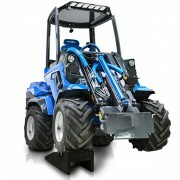 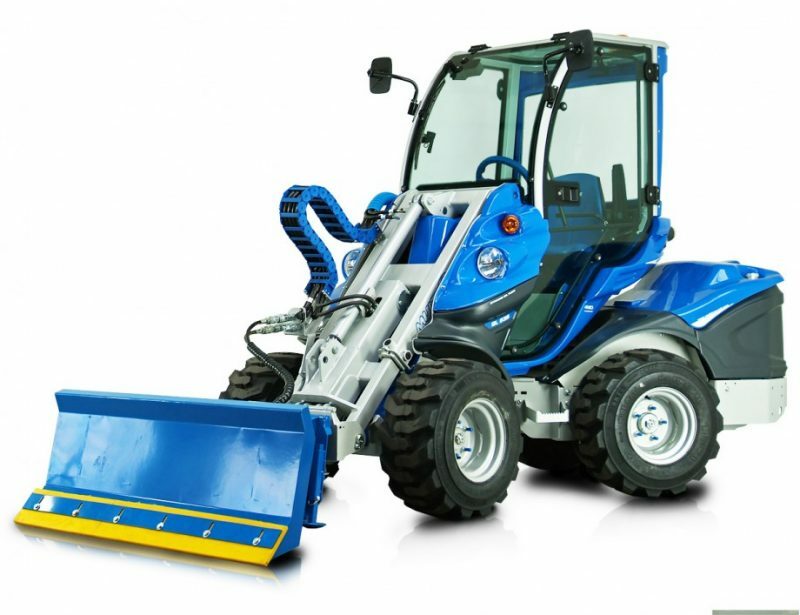 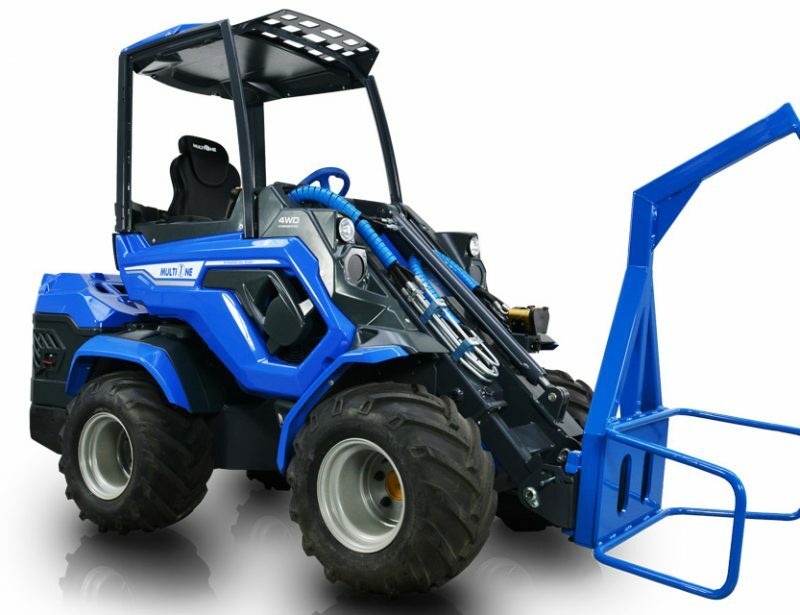 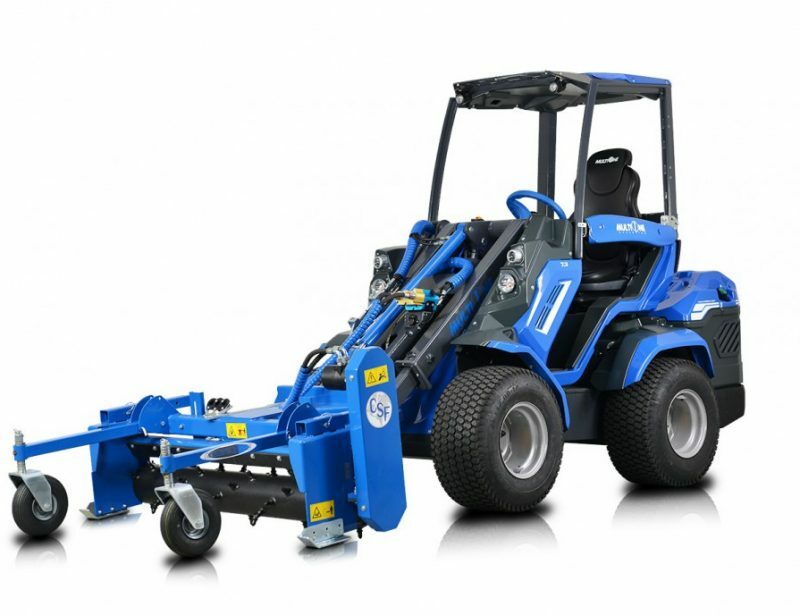 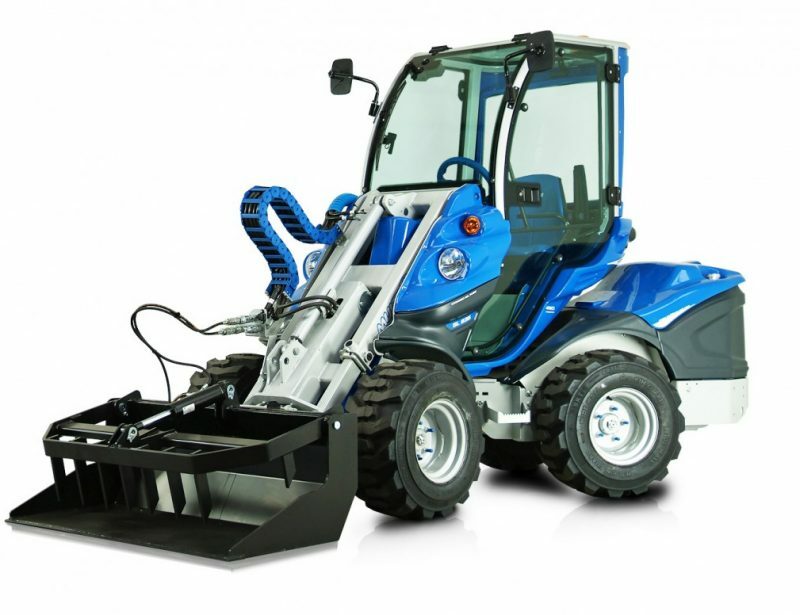 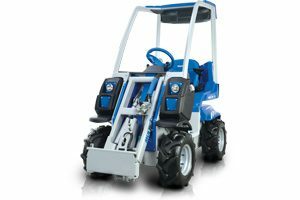 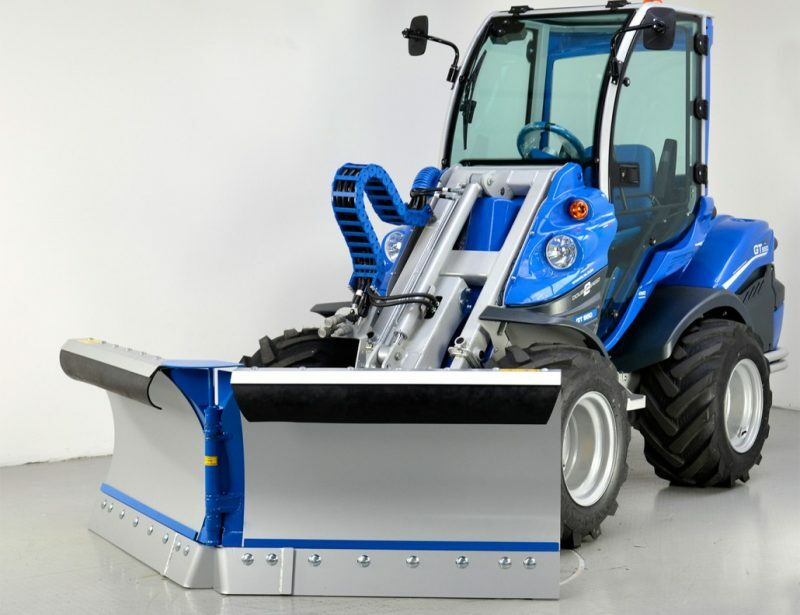 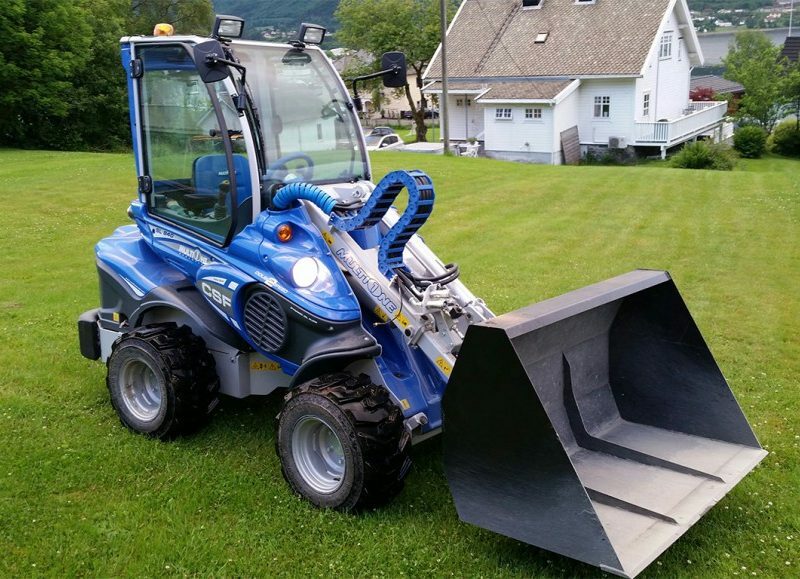 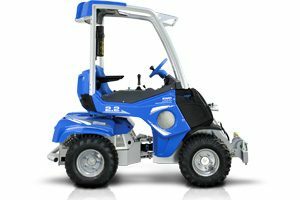 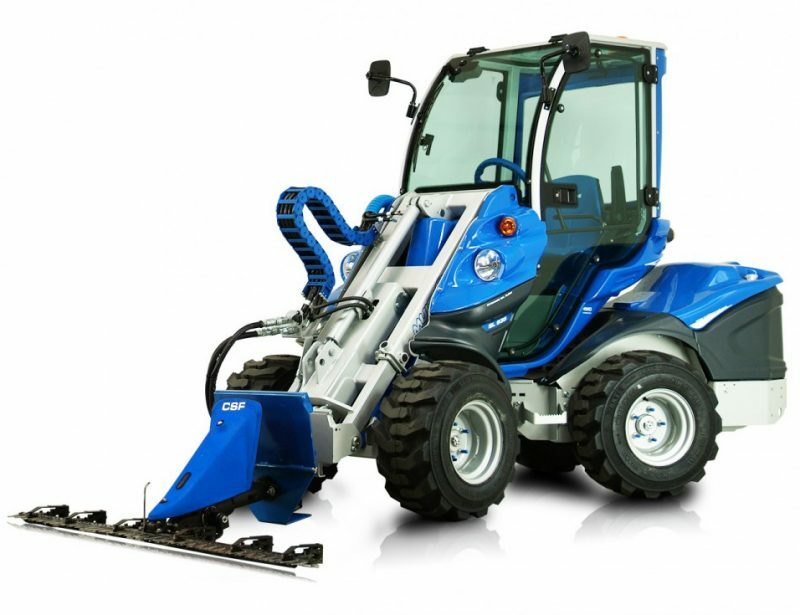 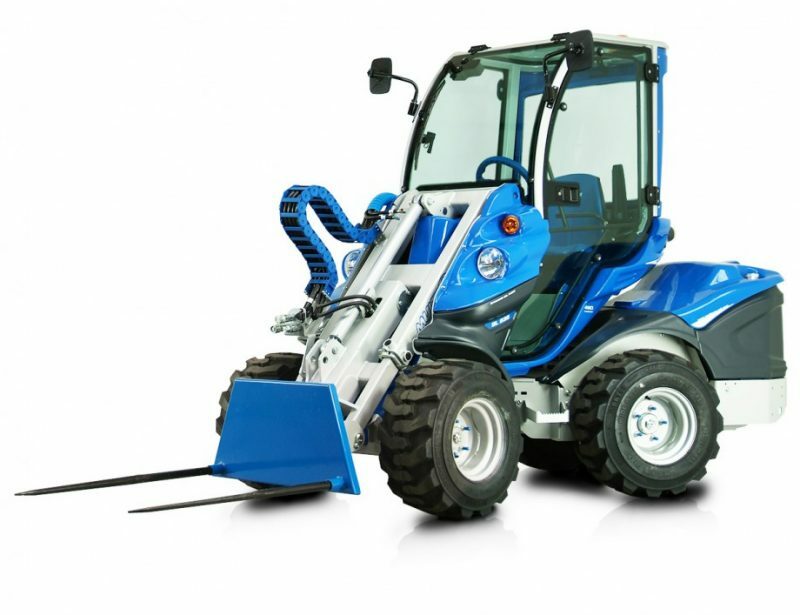 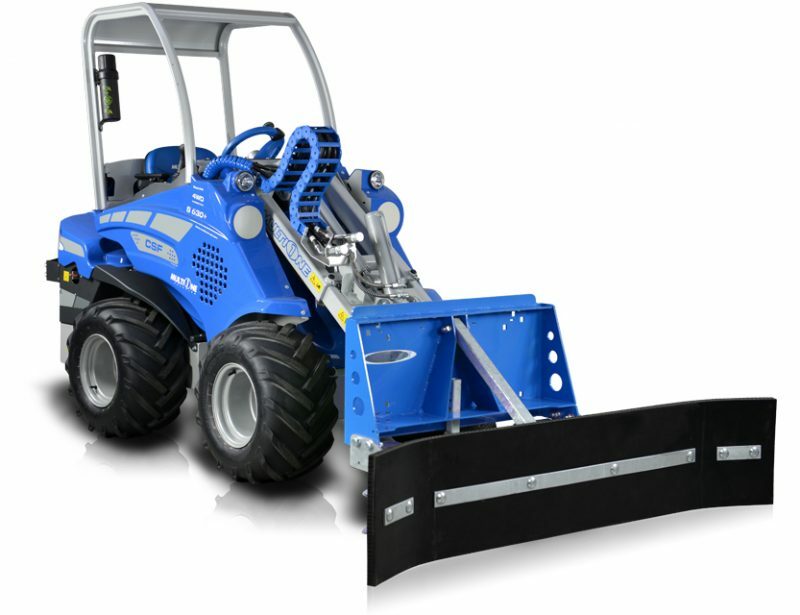 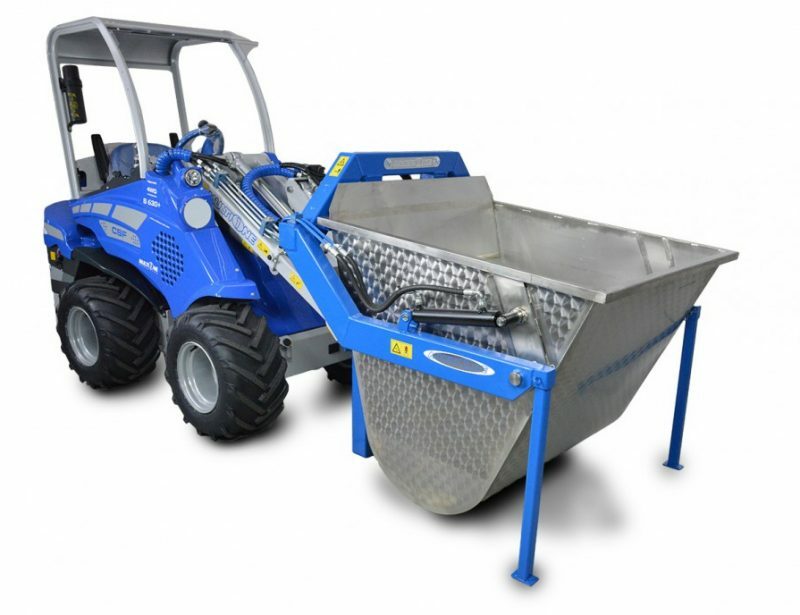 Combine this short footprint with the loader’s swiveling chassis, and the turning radius is just 27.6 inches (700 mm) on the inside and 66.9 inches (1,698 mm) on the outside. 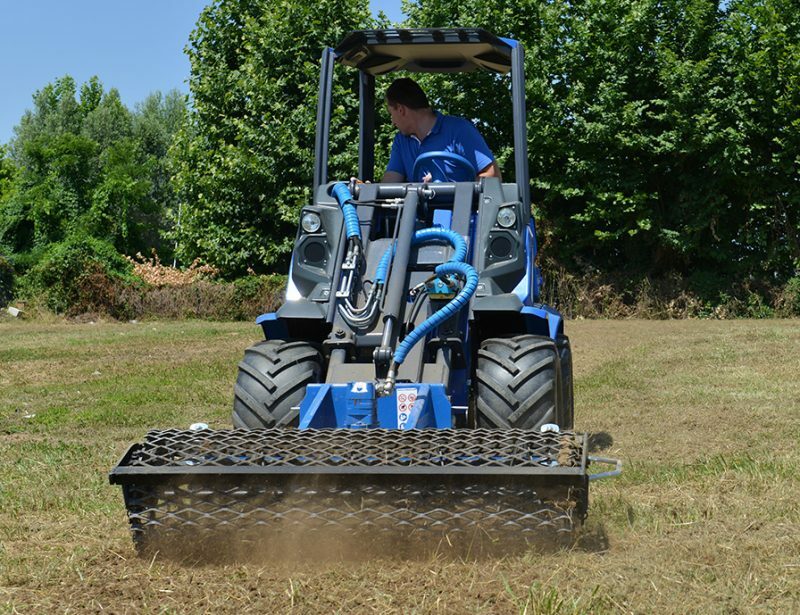 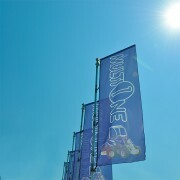 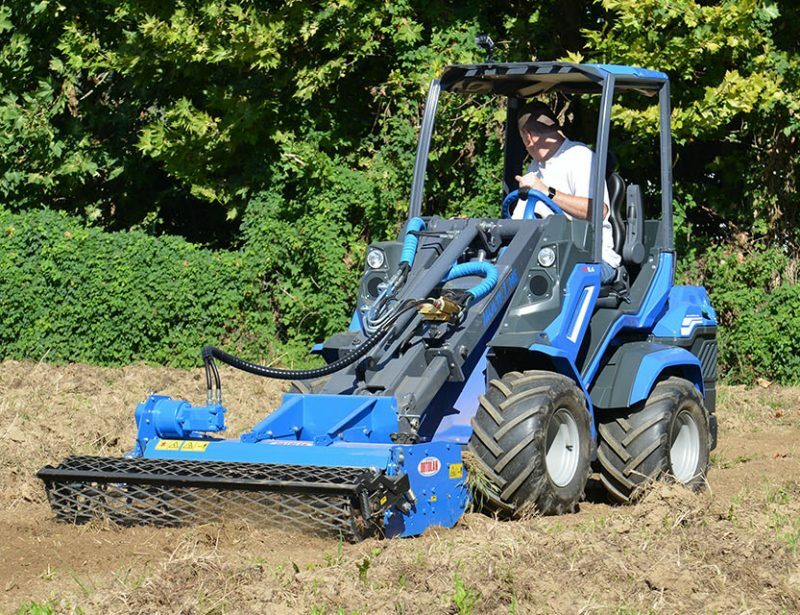 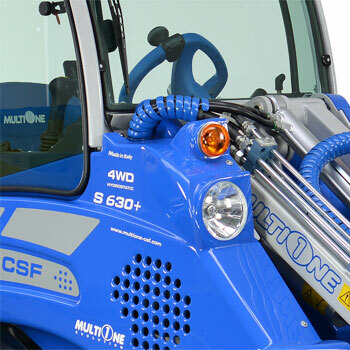 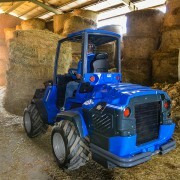 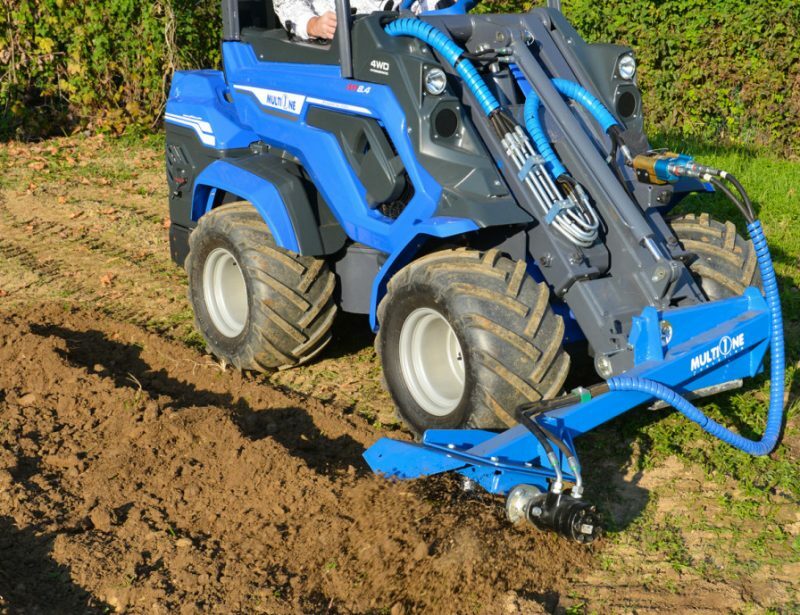 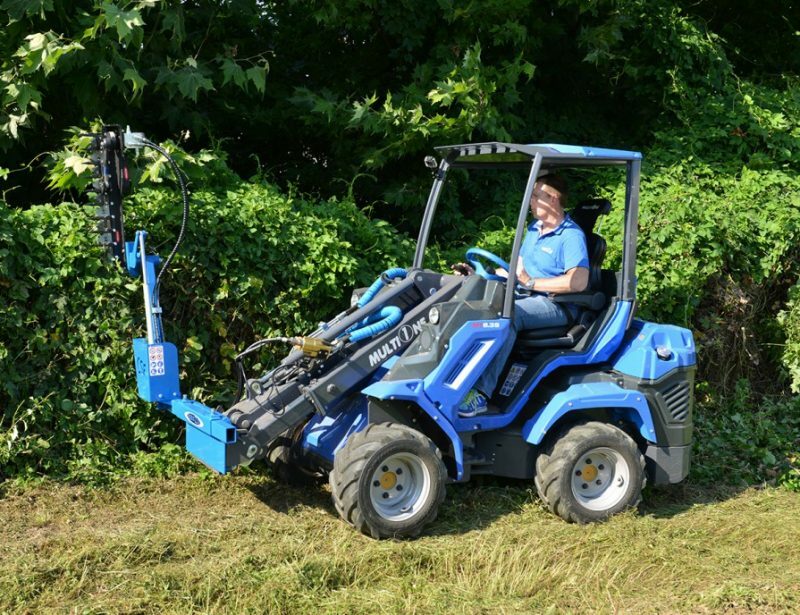 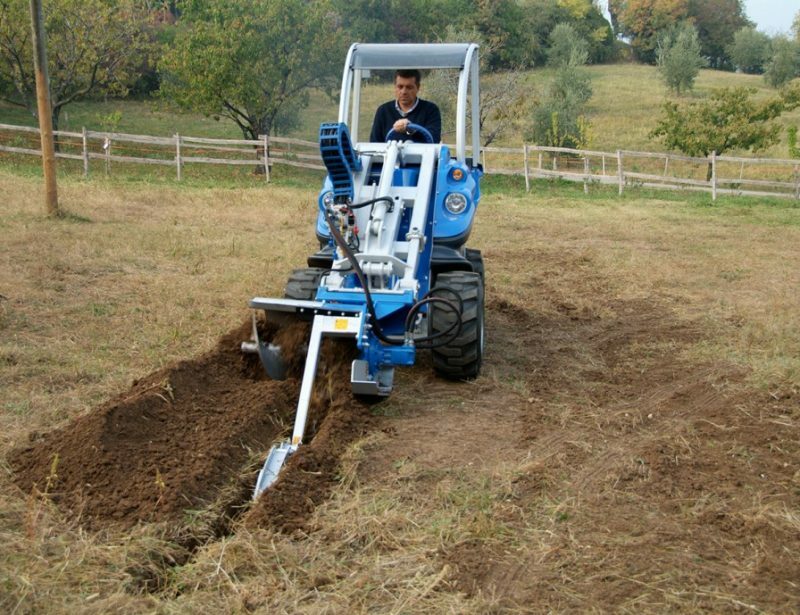 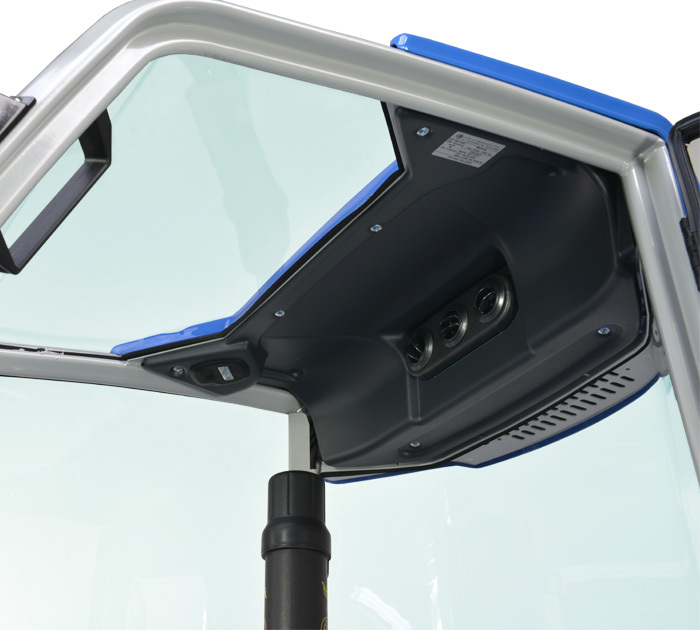 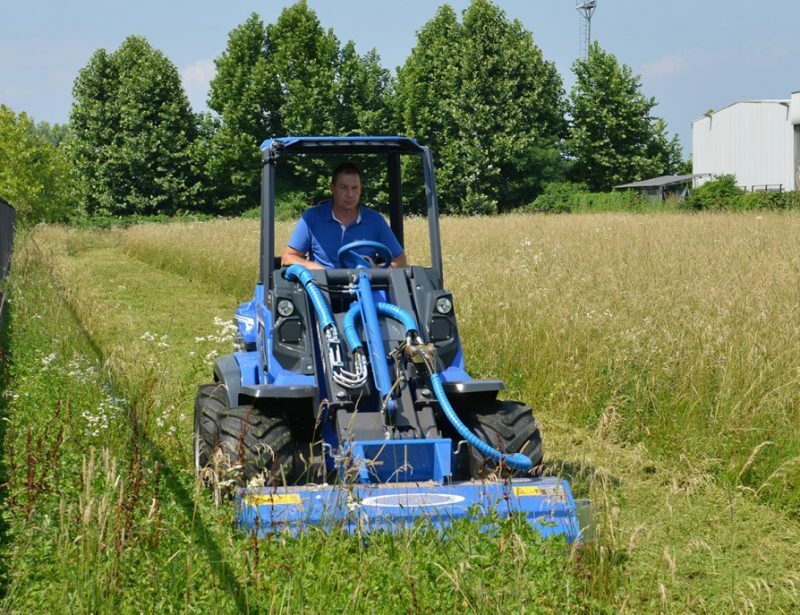 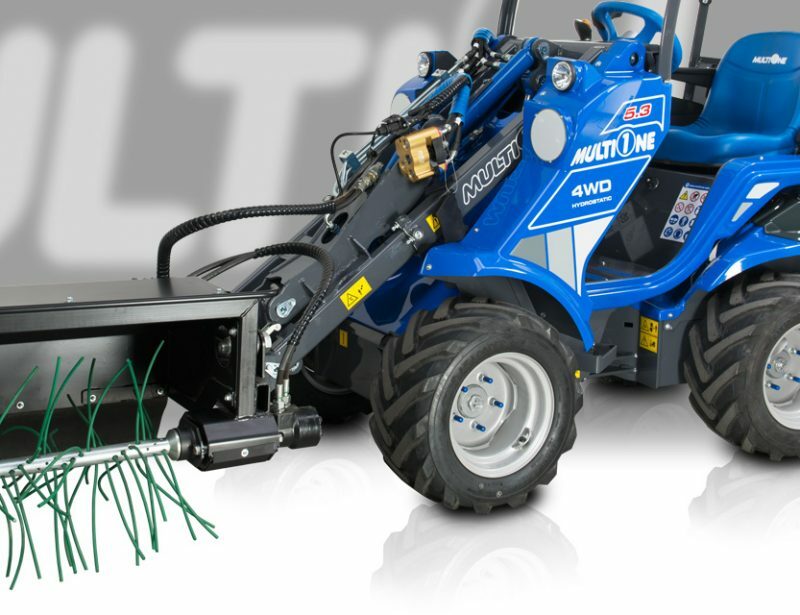 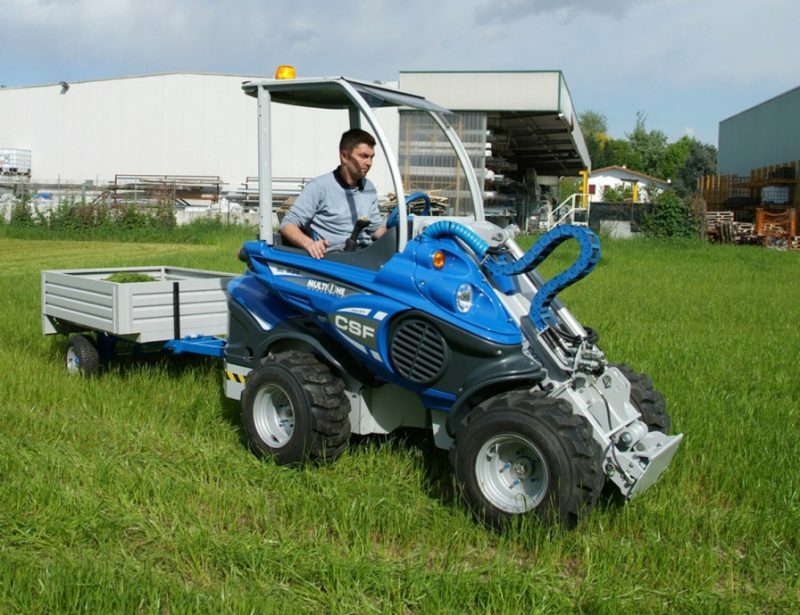 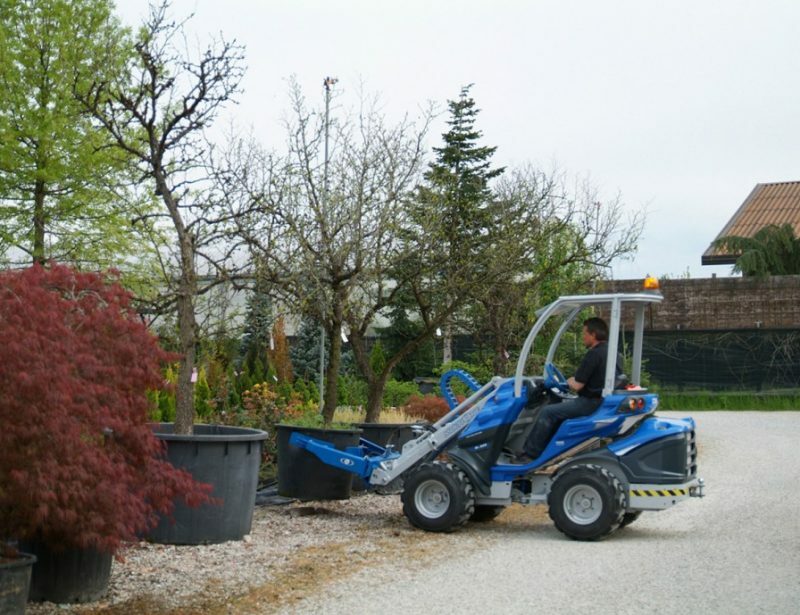 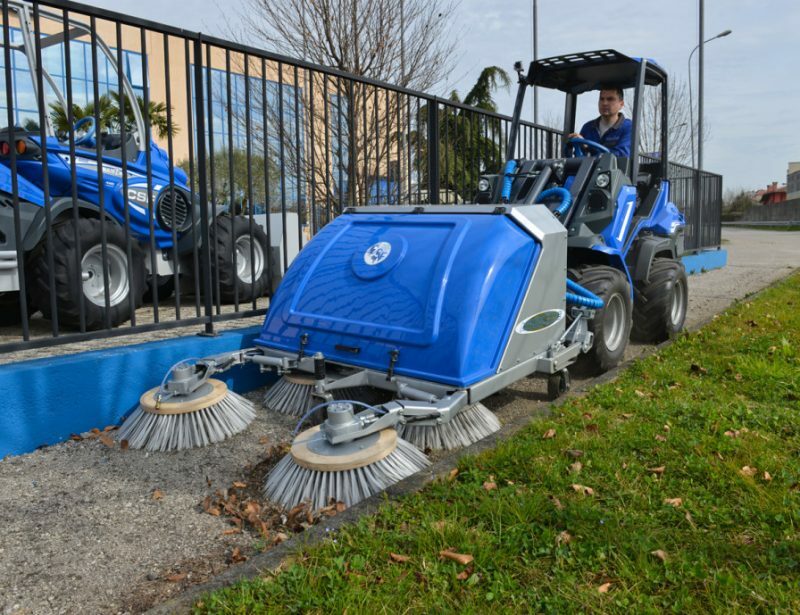 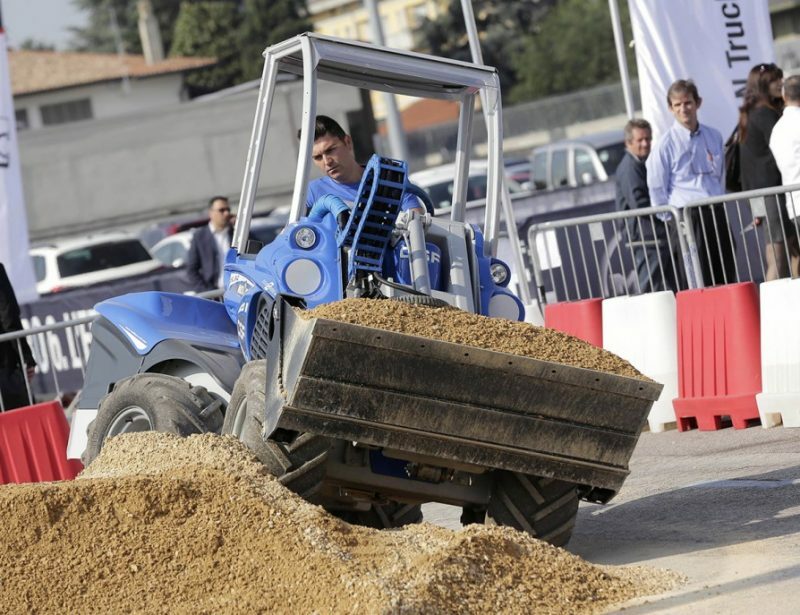 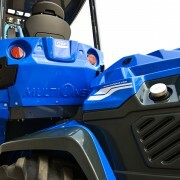 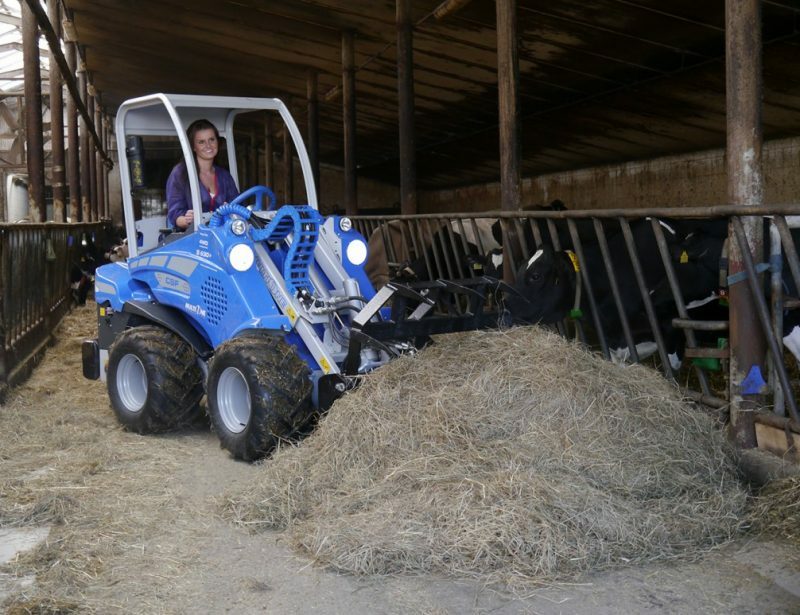 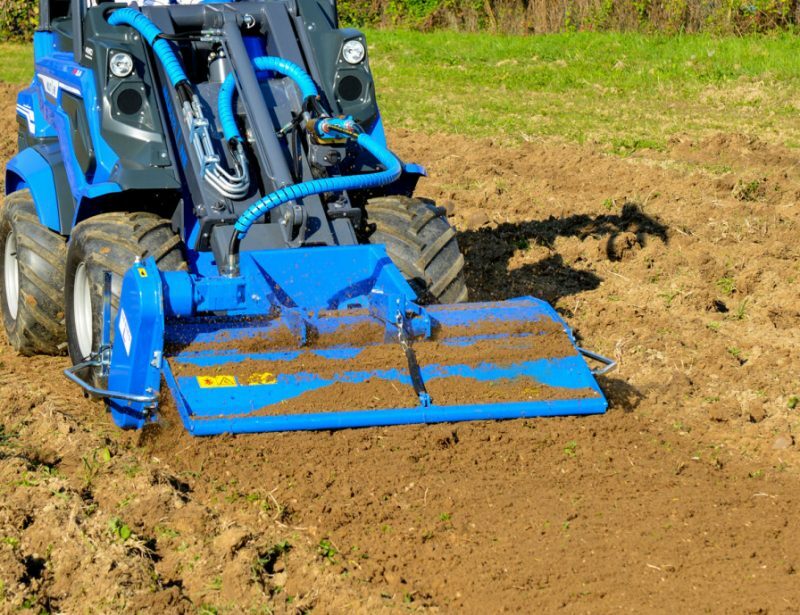 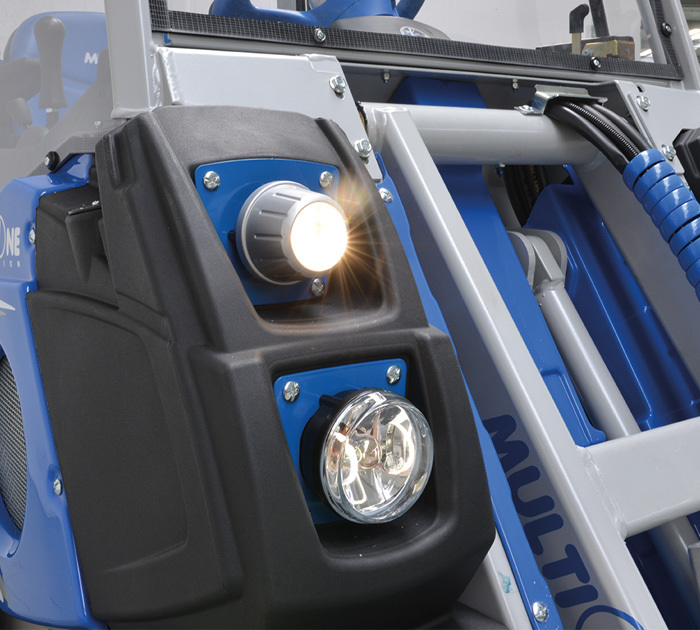 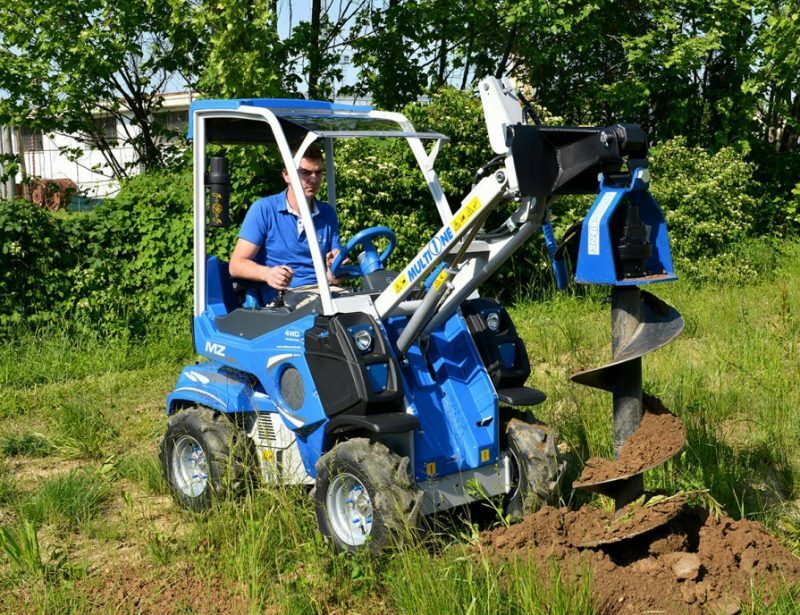 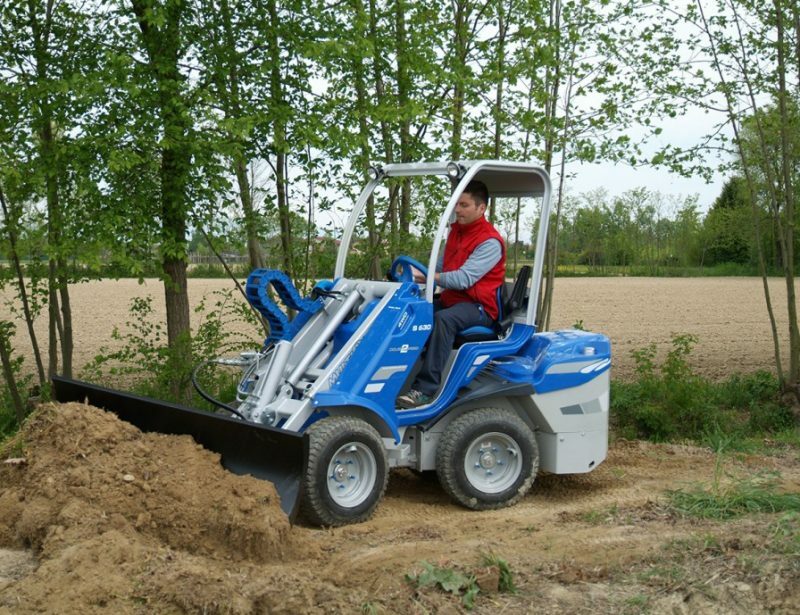 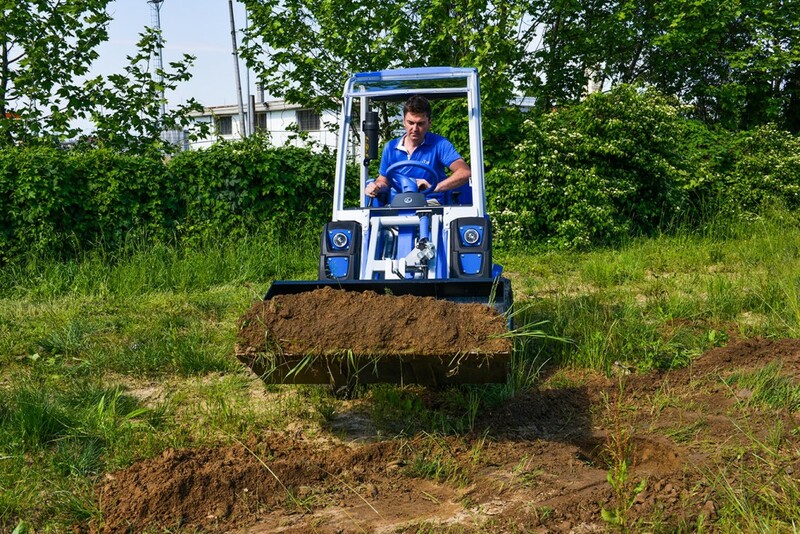 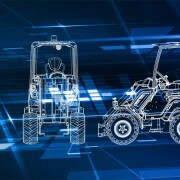 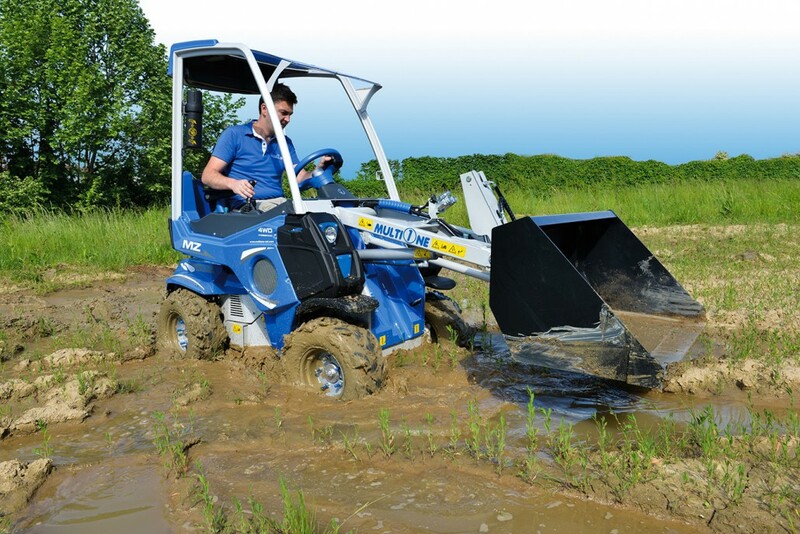 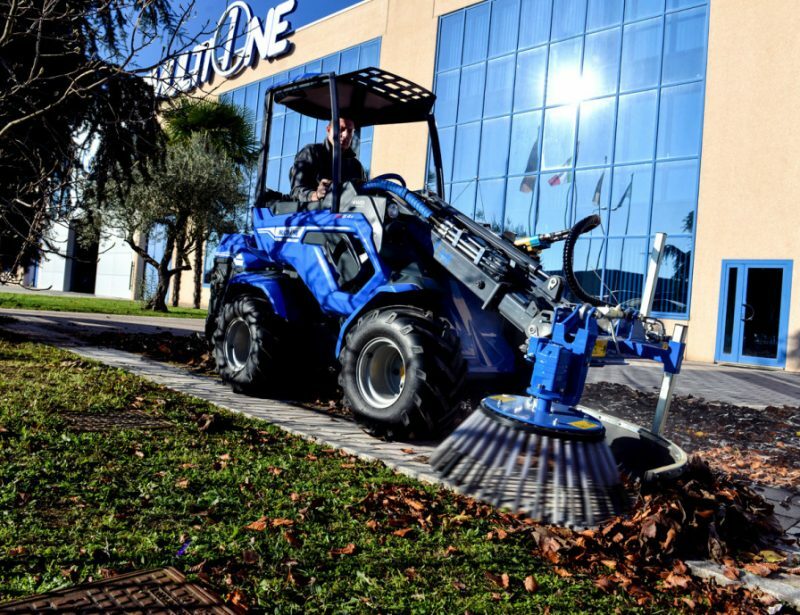 MultiOne makes over 170 attachments to work with their mini loaders, and the 2 Series can use all but the largest of these. 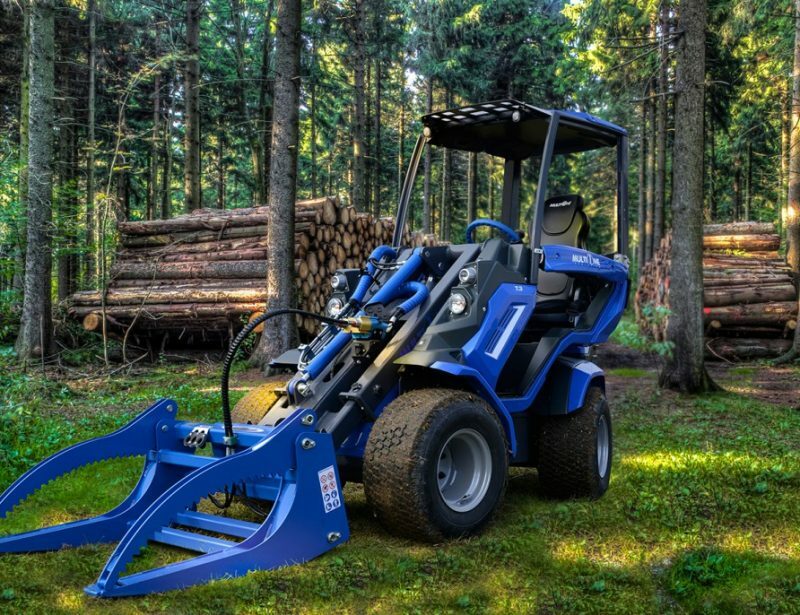 That makes it the perfect tool for almost any situation, whether you’ll use it in construction, at a warehouse, or for land management. 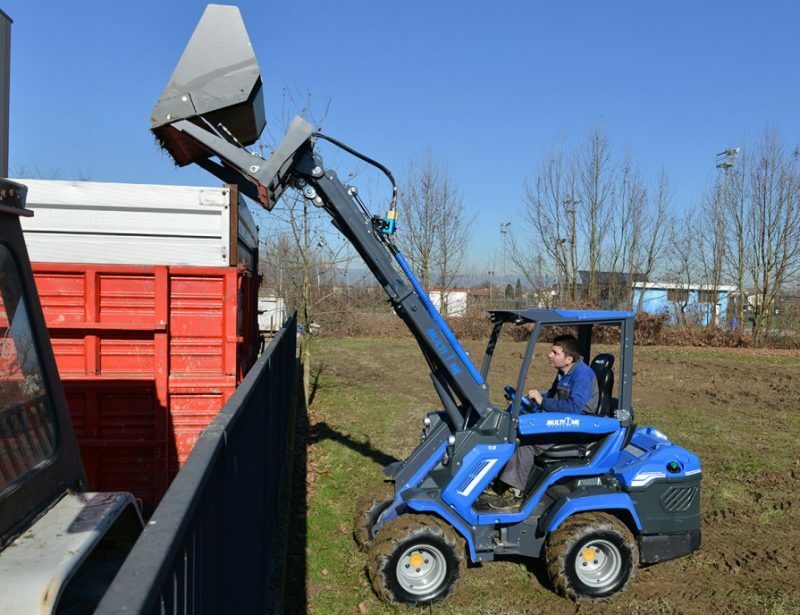 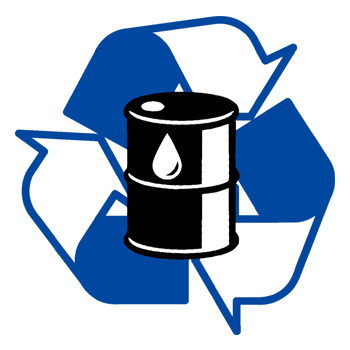 Need to move materials? 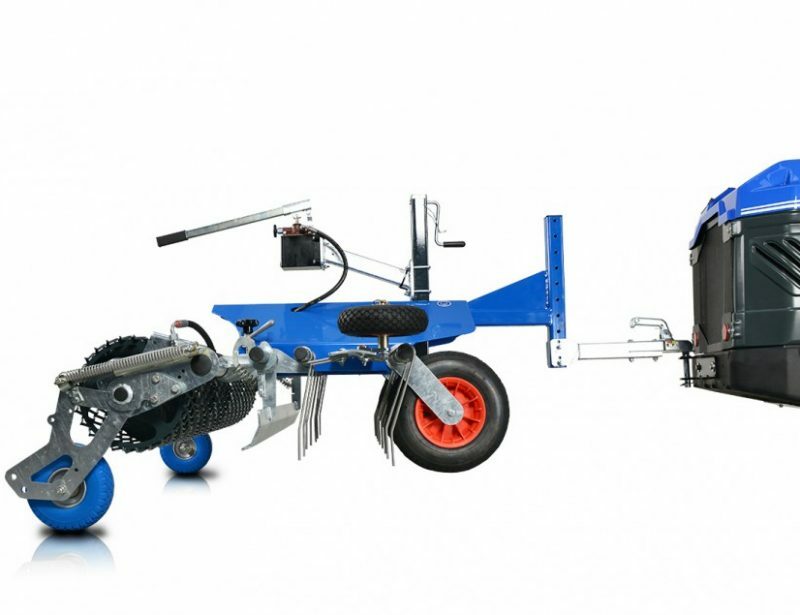 Along with the usual buckets and pallet forks, there’s an array of specialty tools built to carry everything including logs, giant bags, terra cotta pots, and even bee hives. 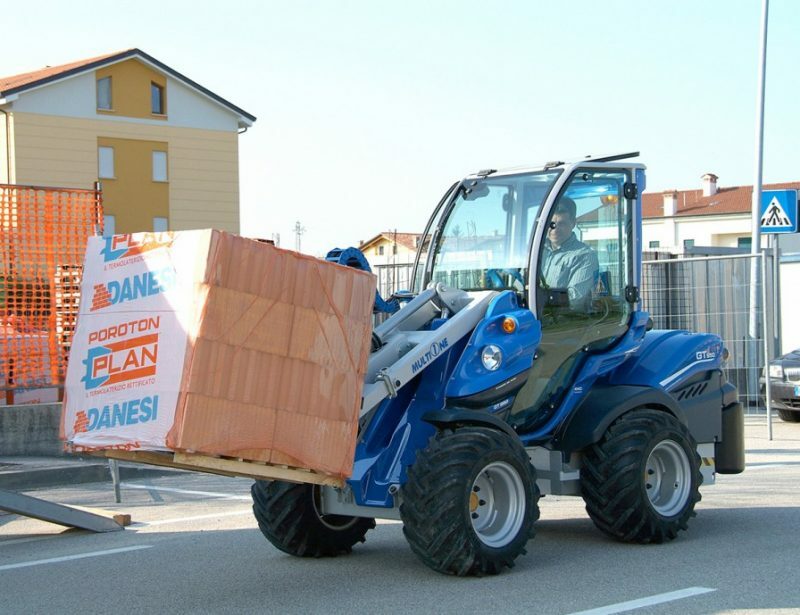 Doing some construction? 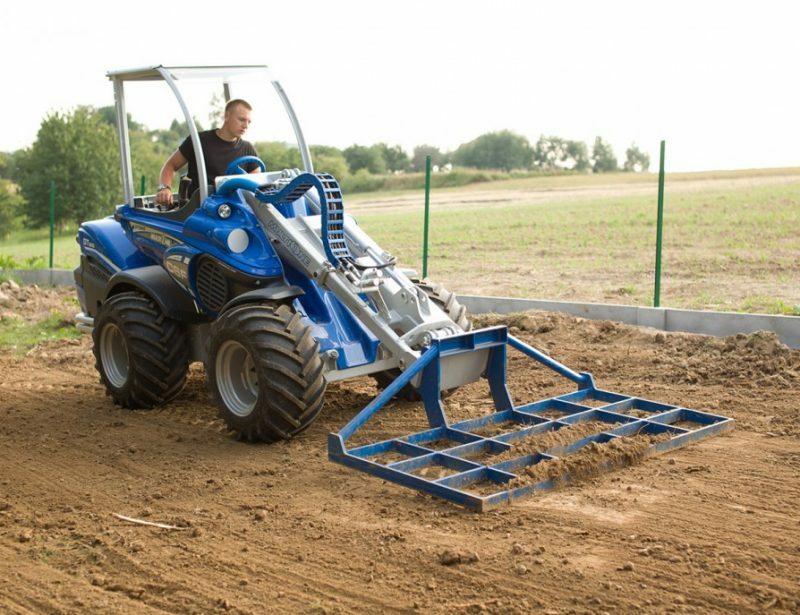 Get the ground ready for posts and footings with an auger or trencher, move concrete around with a specialized bucket or mixer, and lift people to high places with the work platform. 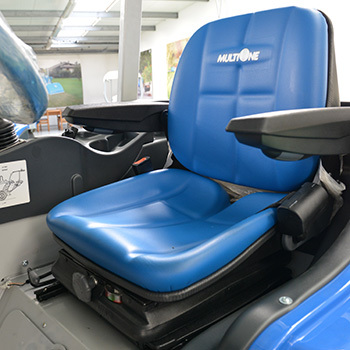 The 2 Series is available with two packages: the all-season package, which adds a heater and a fully enclosed glass cabin, and the comfort package, which adds a heated seat and three additional LED working lights.